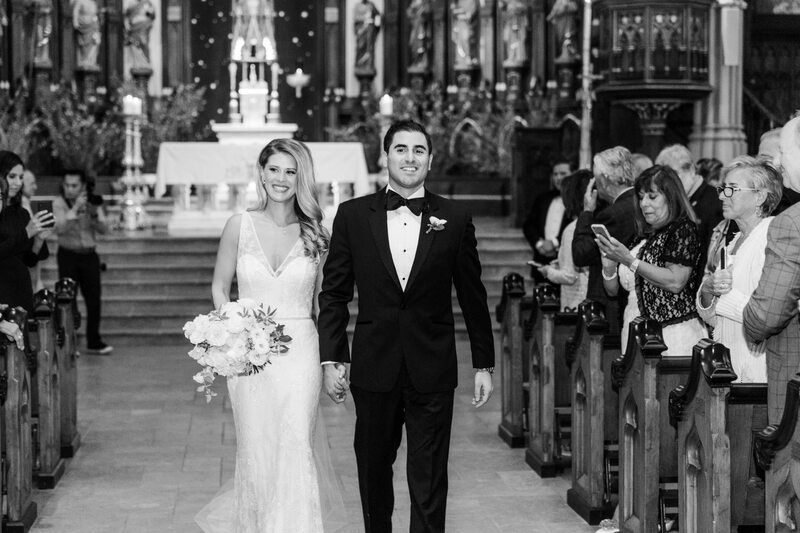 Have you ever seen the real life Ken & Barbie? 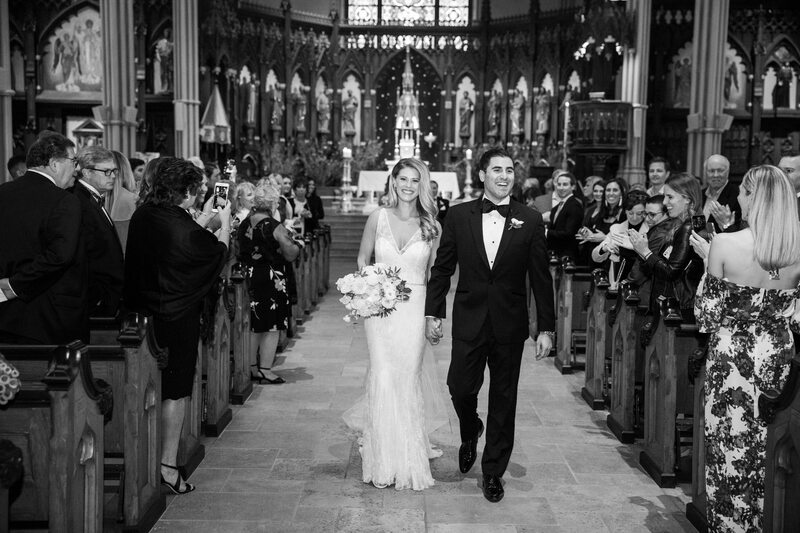 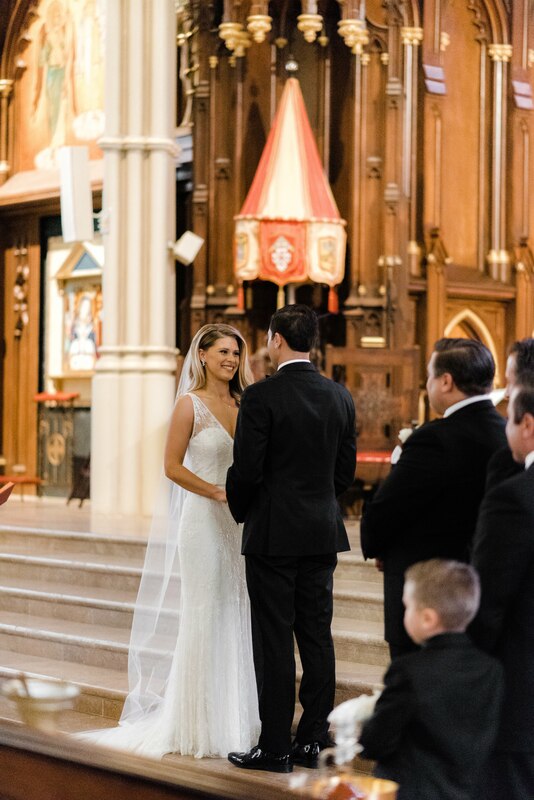 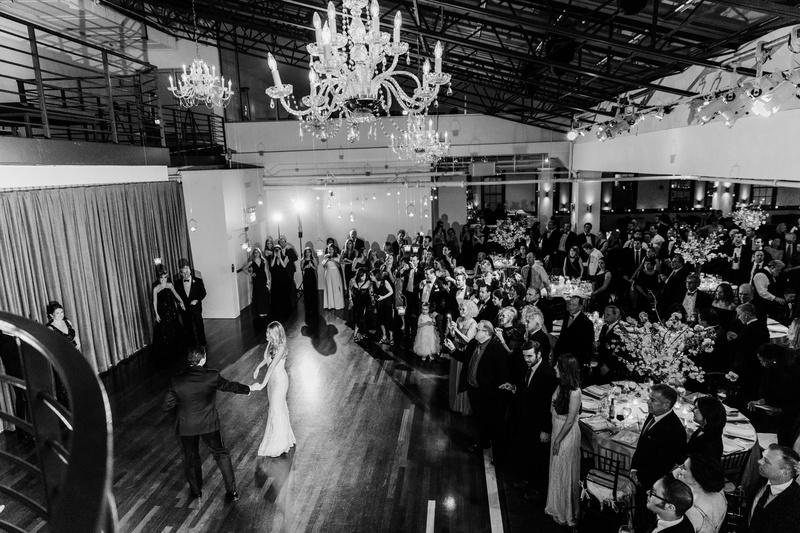 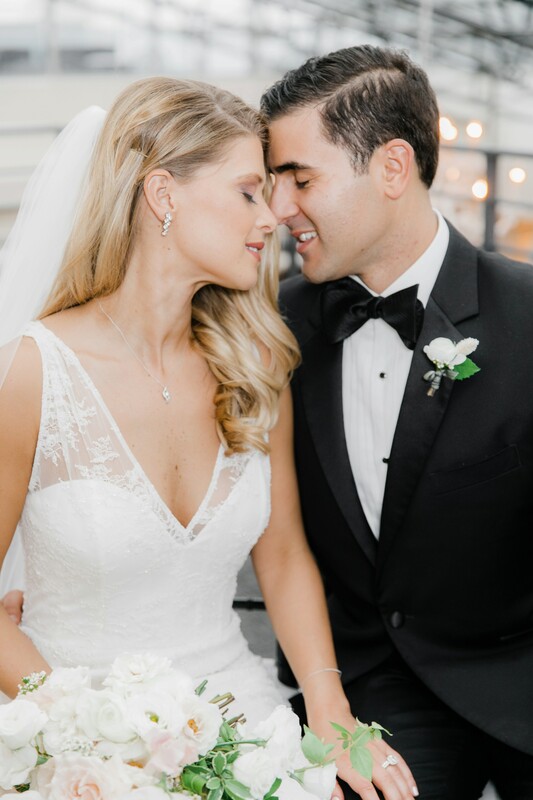 Well look no further than our stunning bride and handsome groom Christina & Nick! 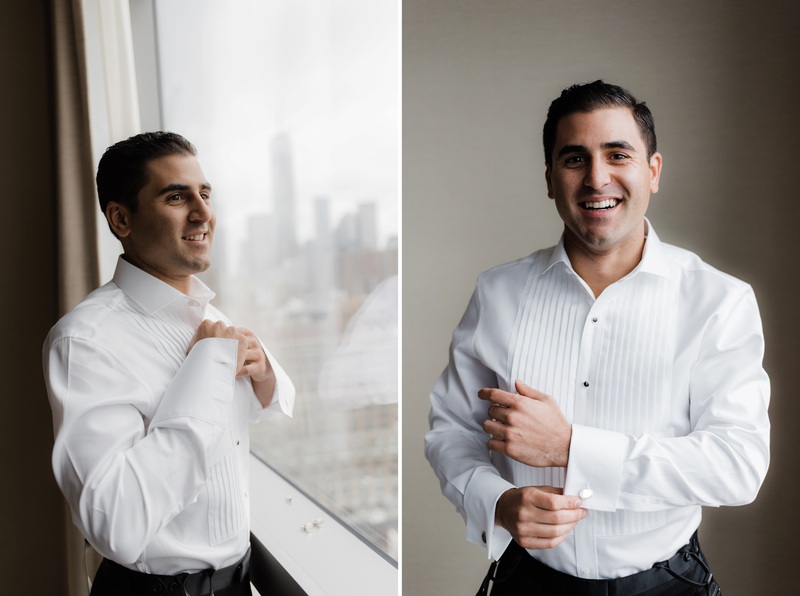 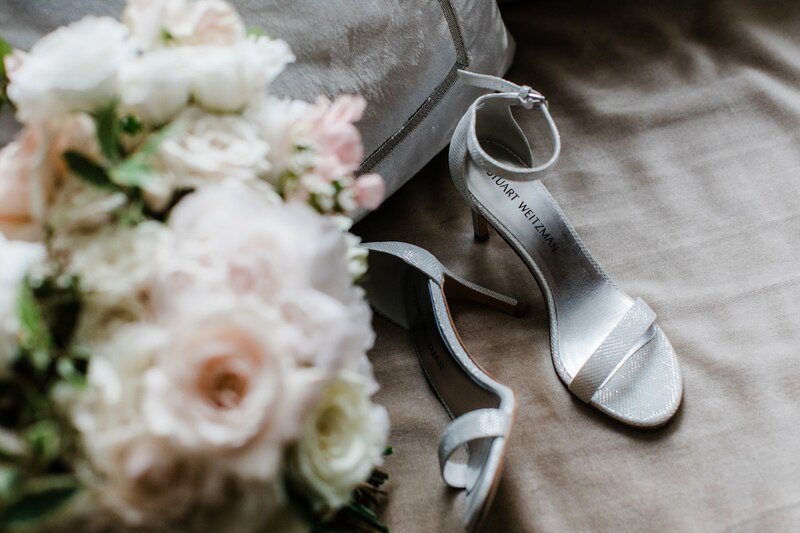 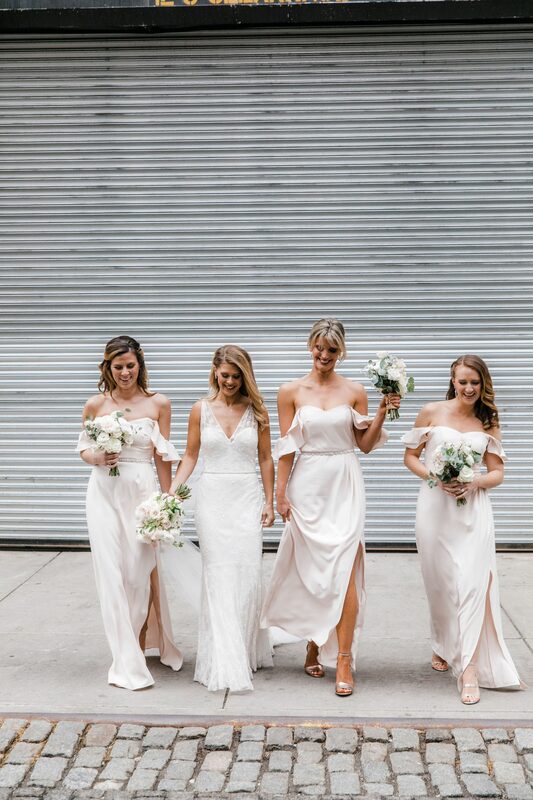 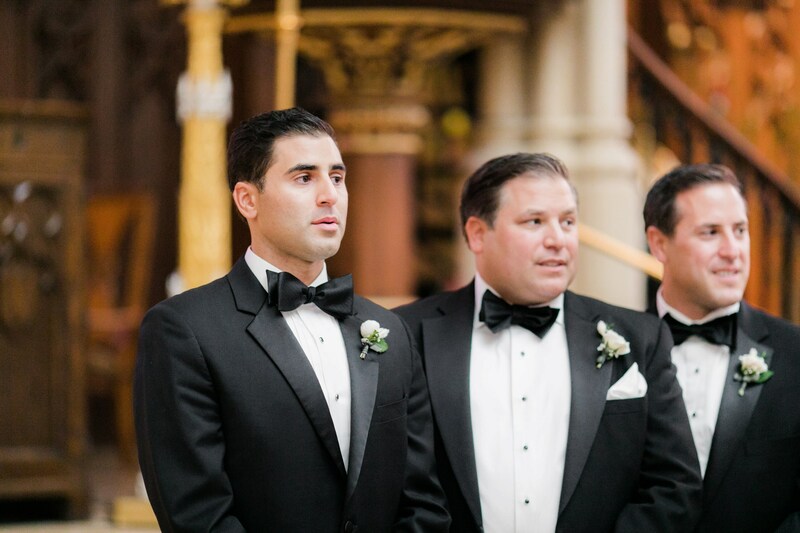 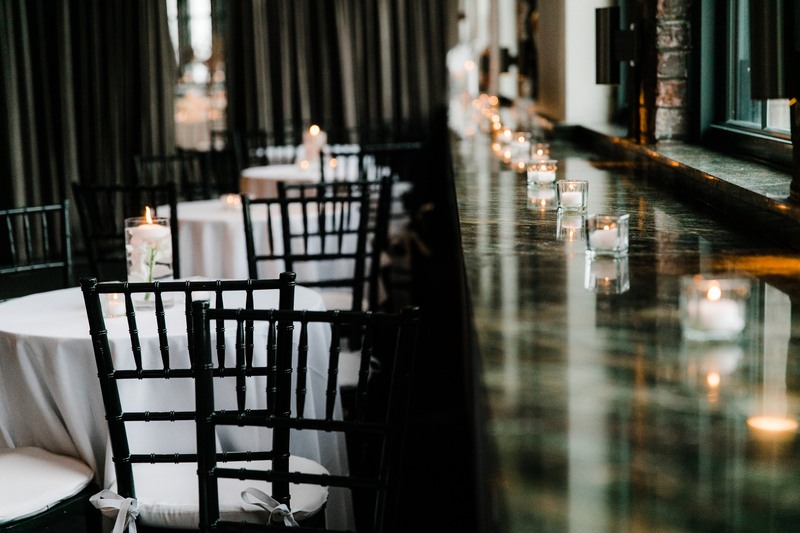 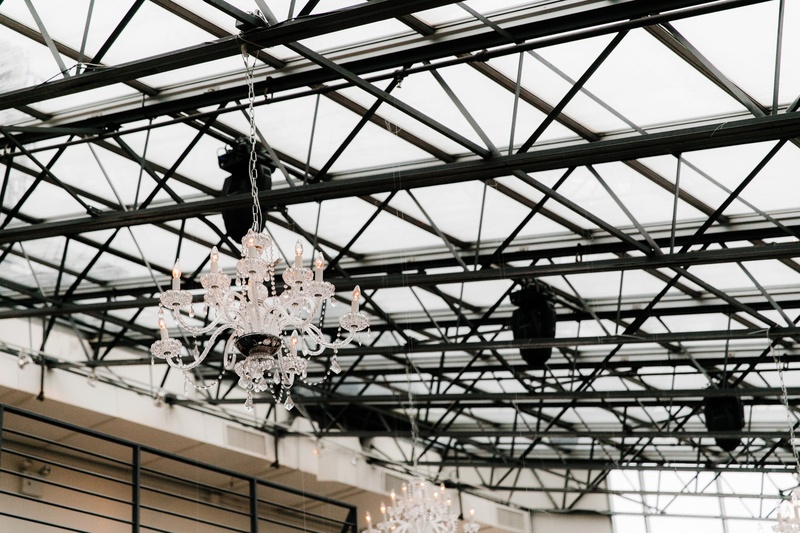 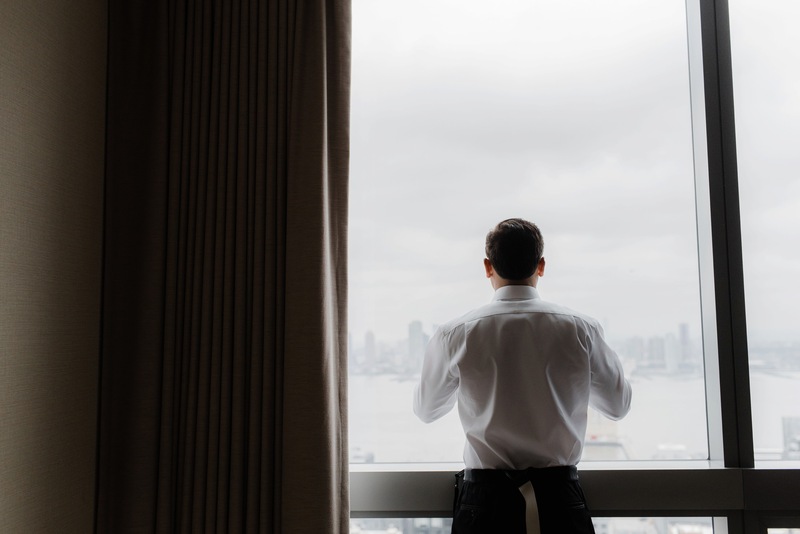 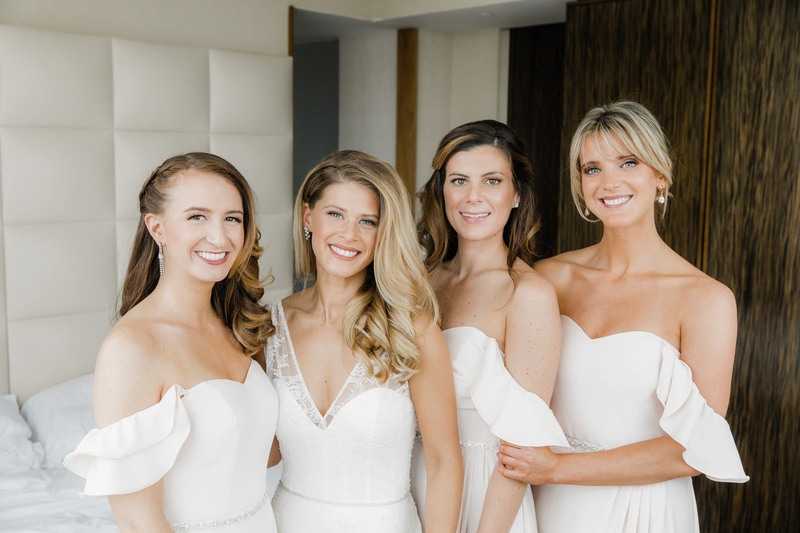 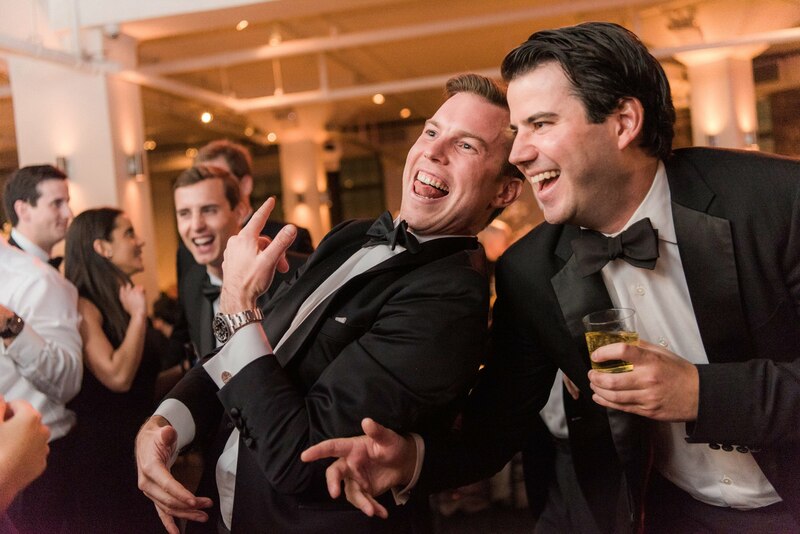 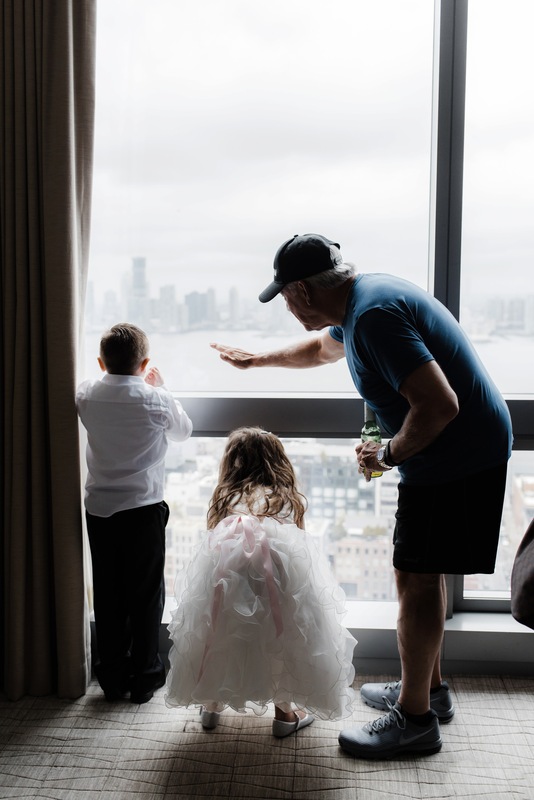 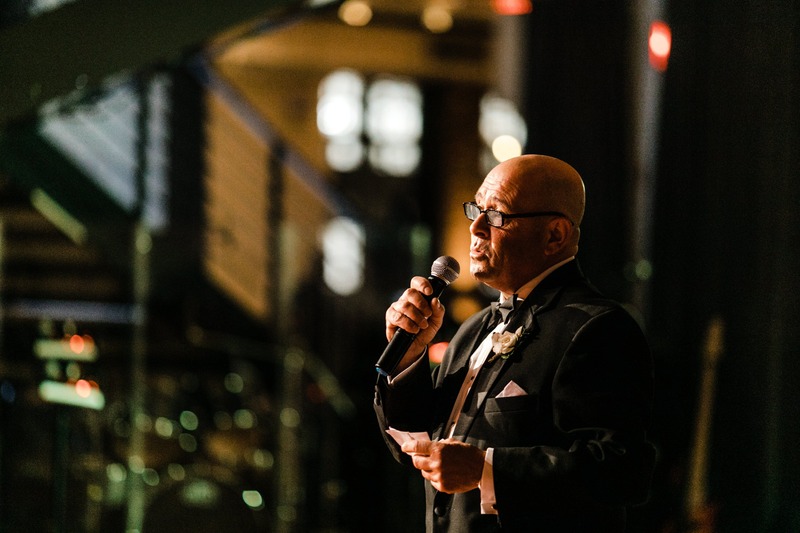 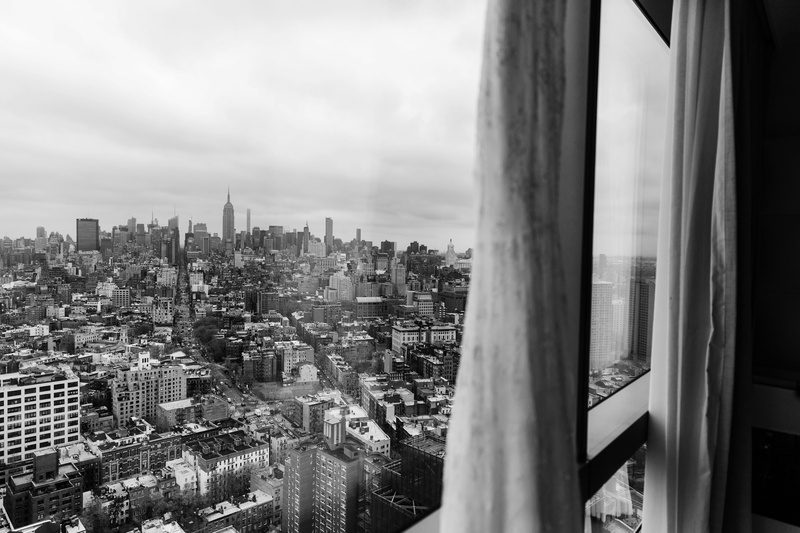 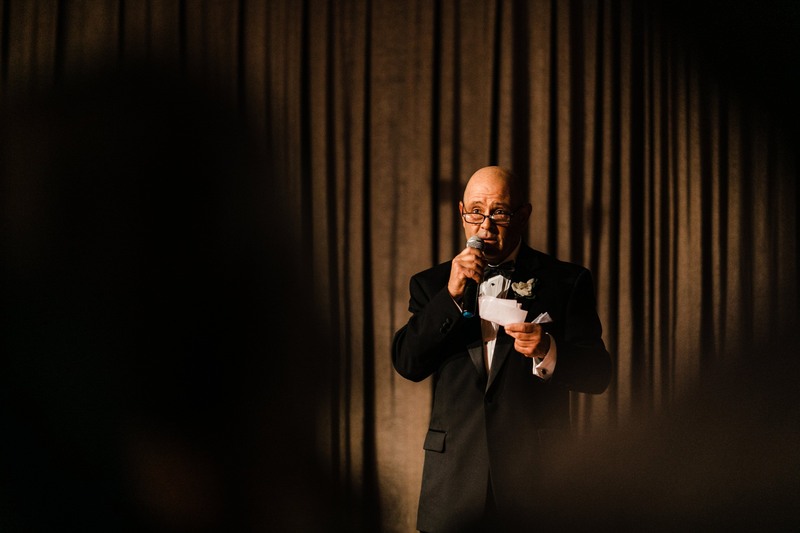 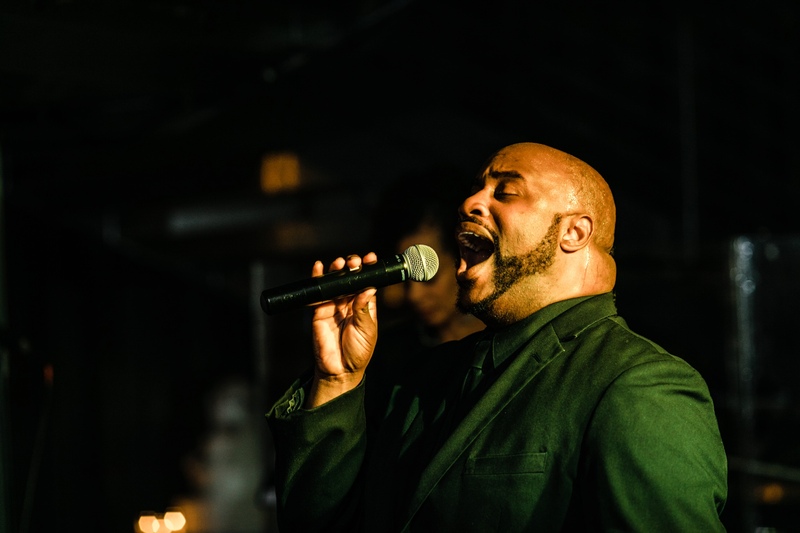 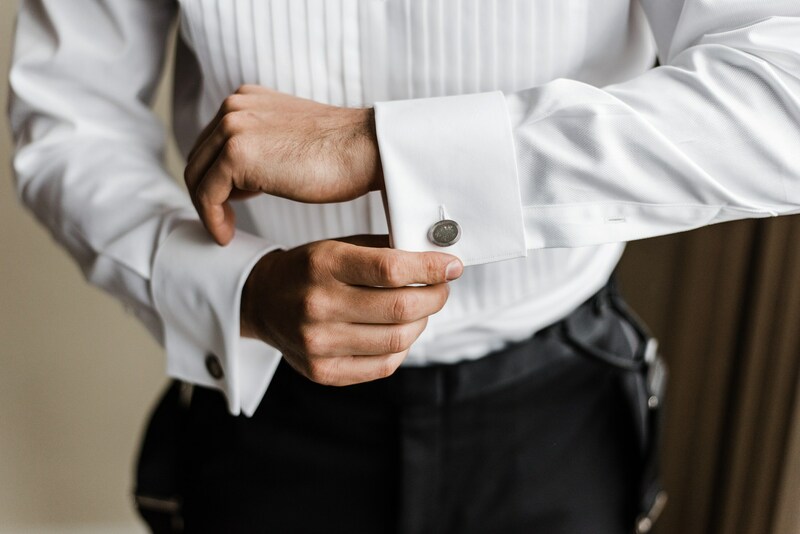 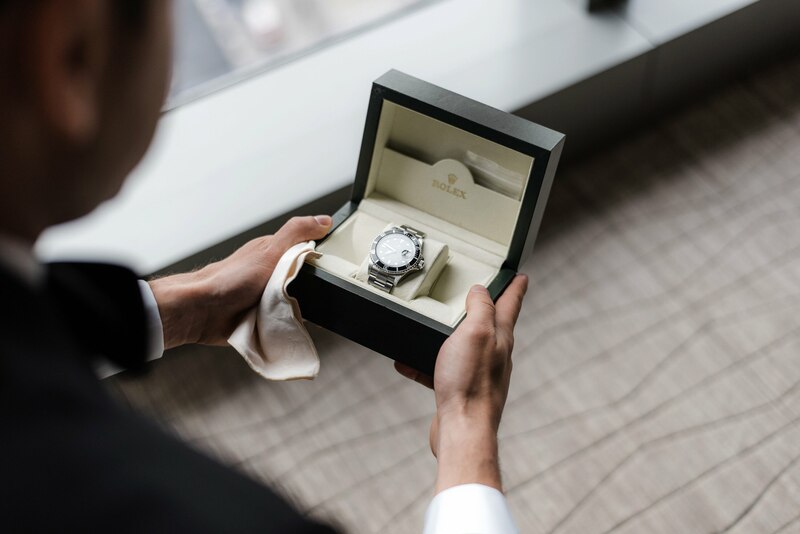 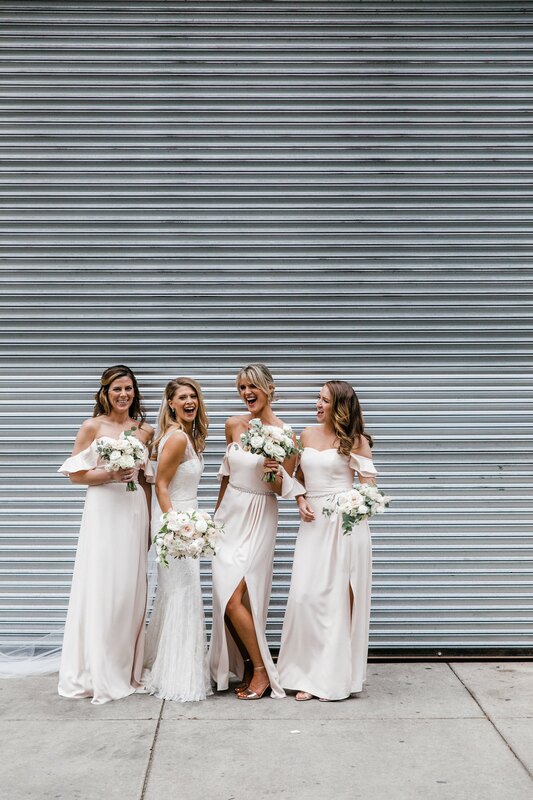 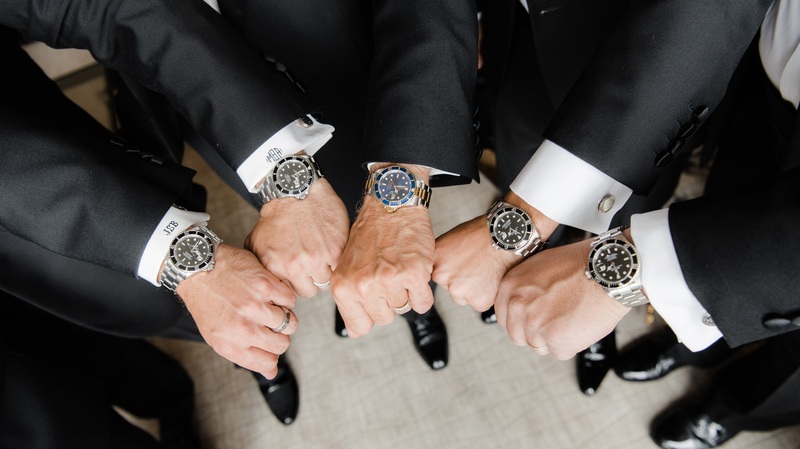 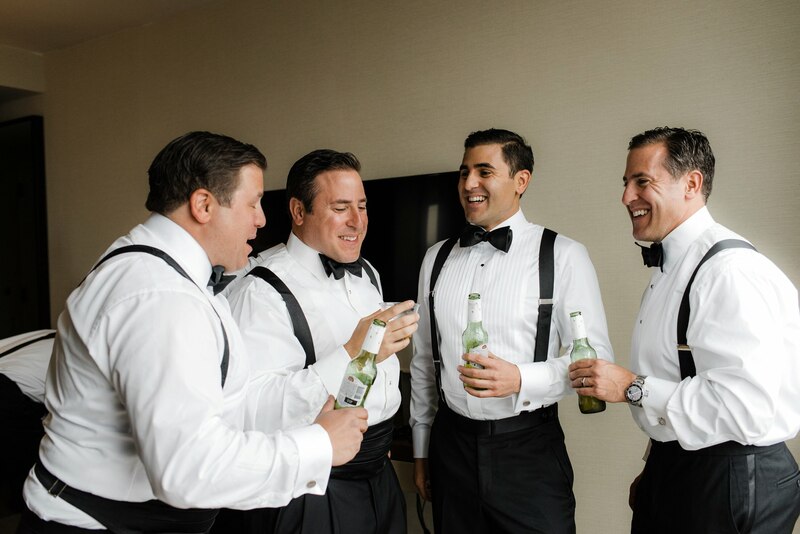 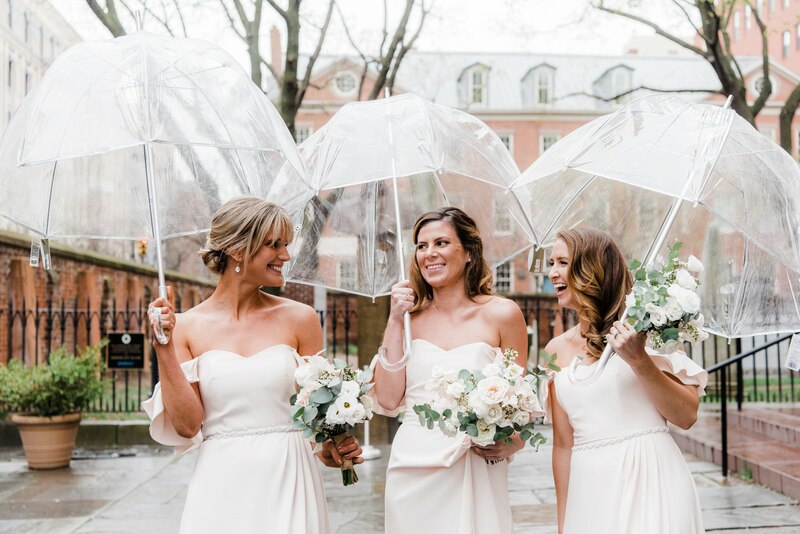 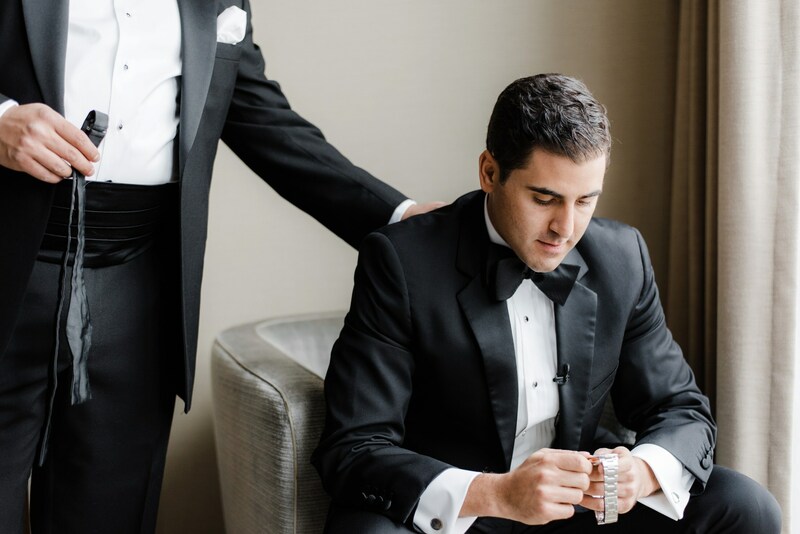 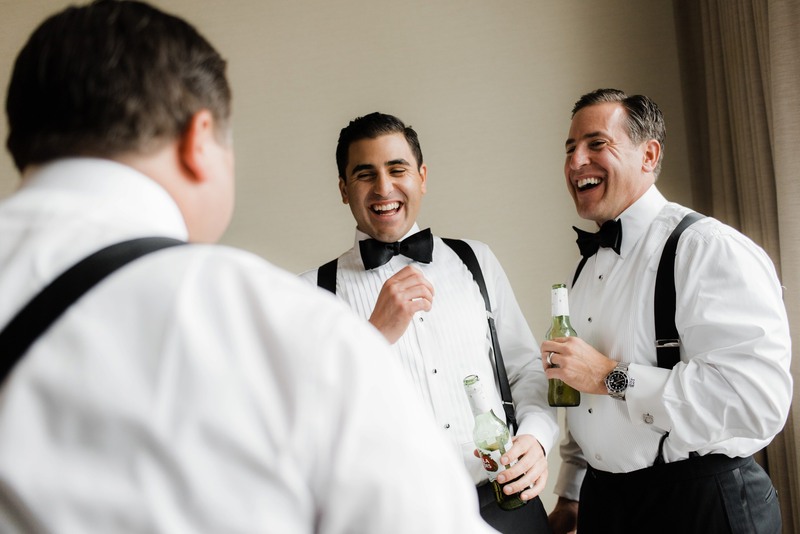 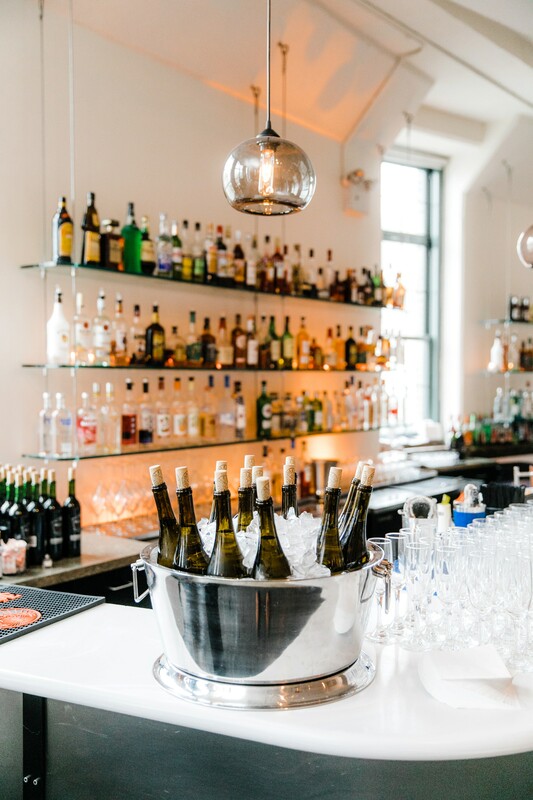 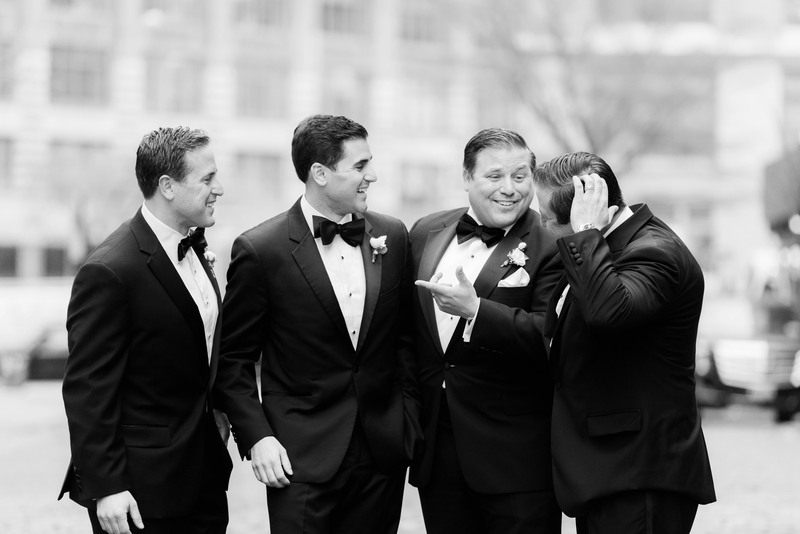 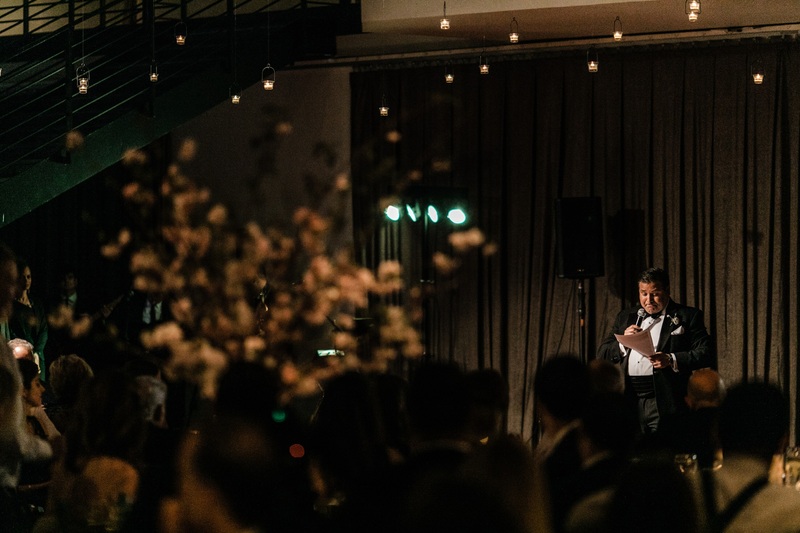 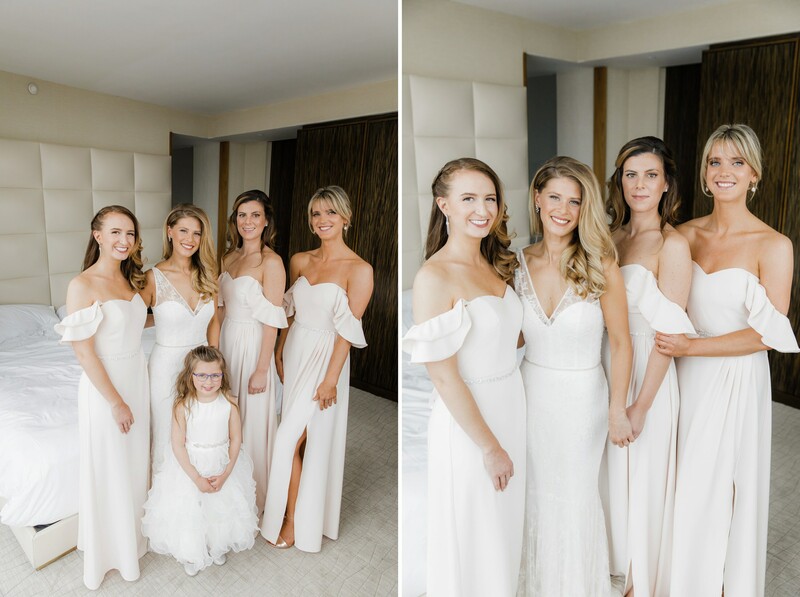 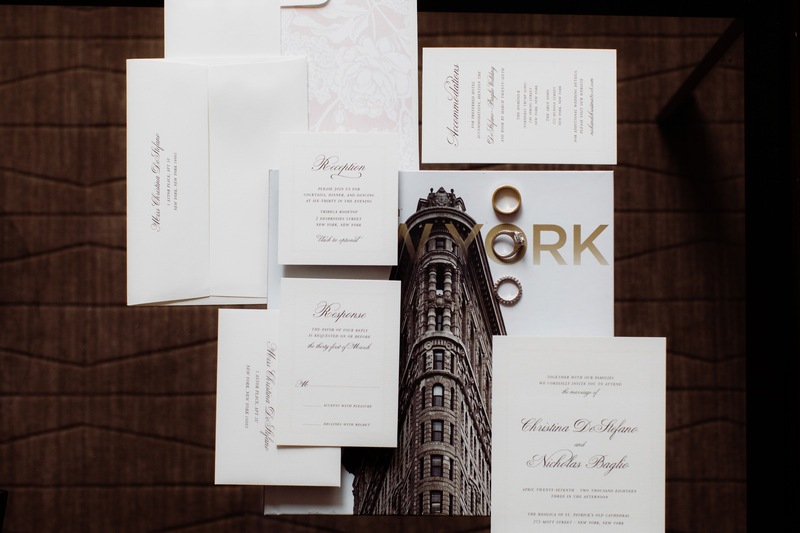 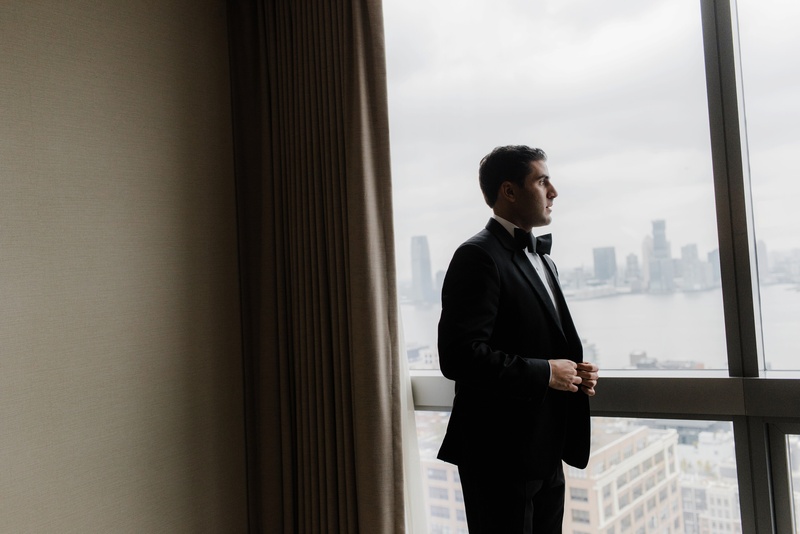 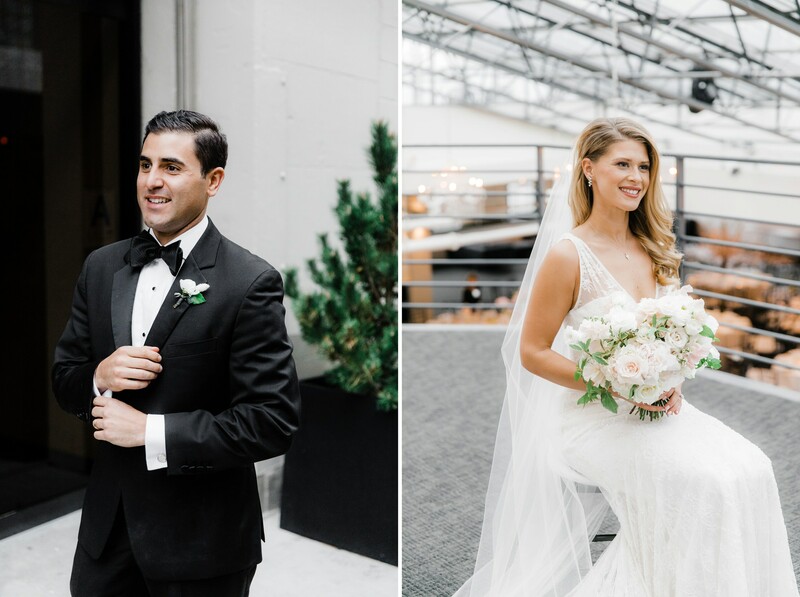 When they were deciding on their Tribeca Rooftop Wedding Photographer, they knew they wanted someone to help them remember their Tribeca Rooftop wedding, but they also wanted that photographer to capture the way they felt. 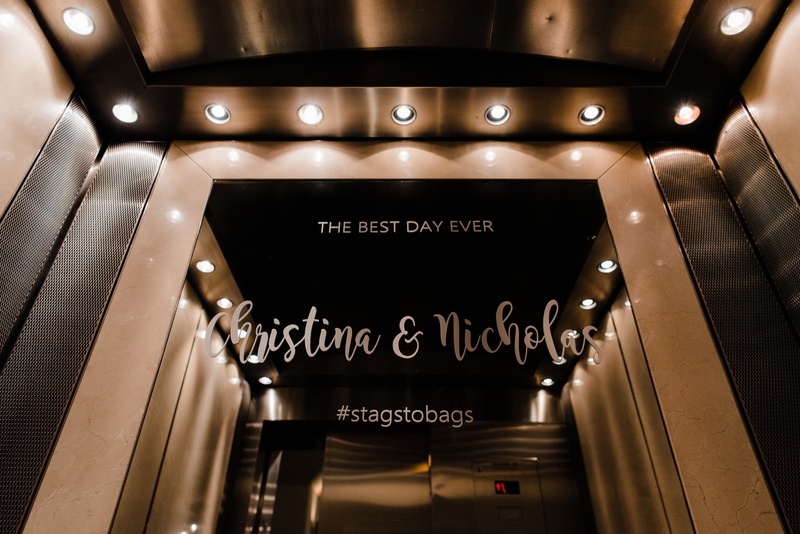 We were honored they chose us! 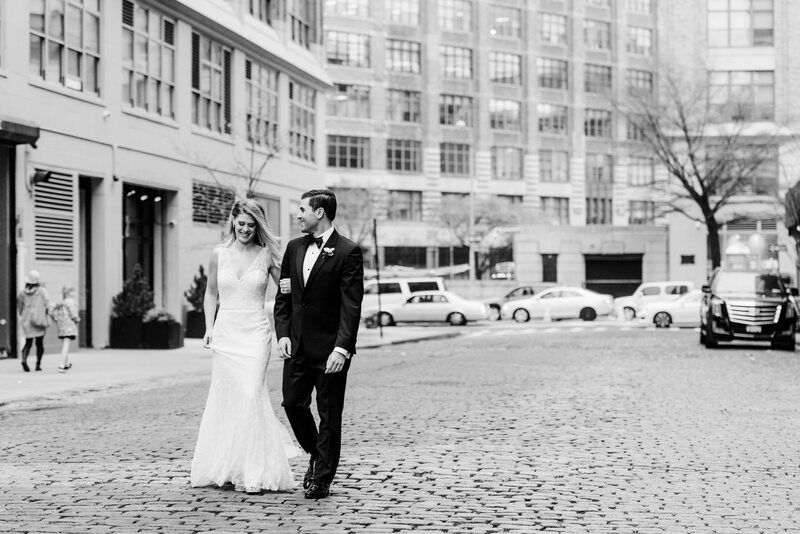 When we first met Christina & Nick we were heading into the Central Park Conservatory for their engagement session. 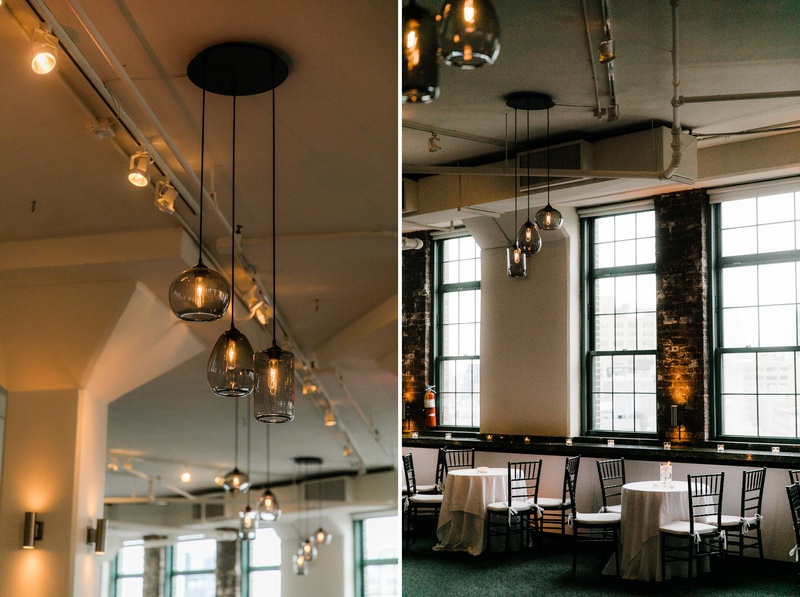 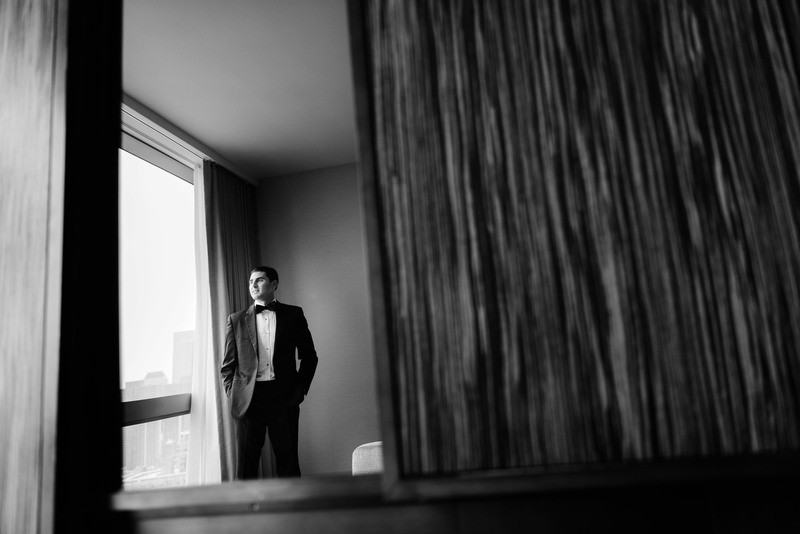 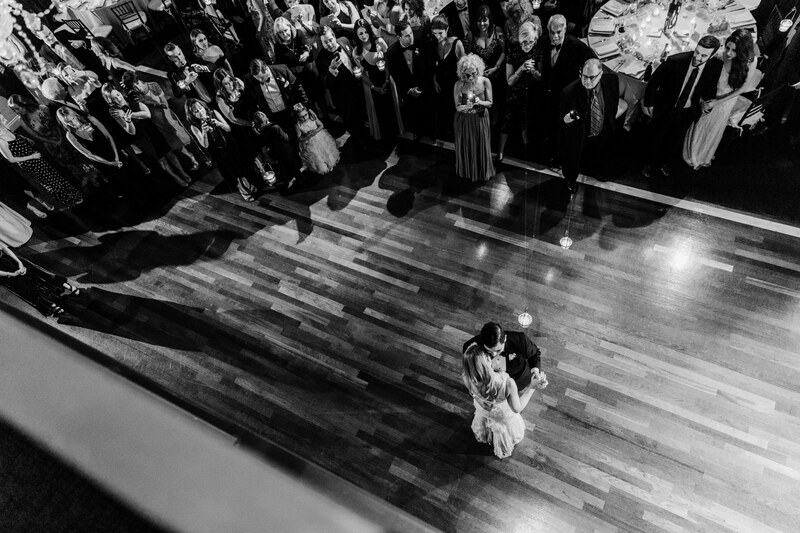 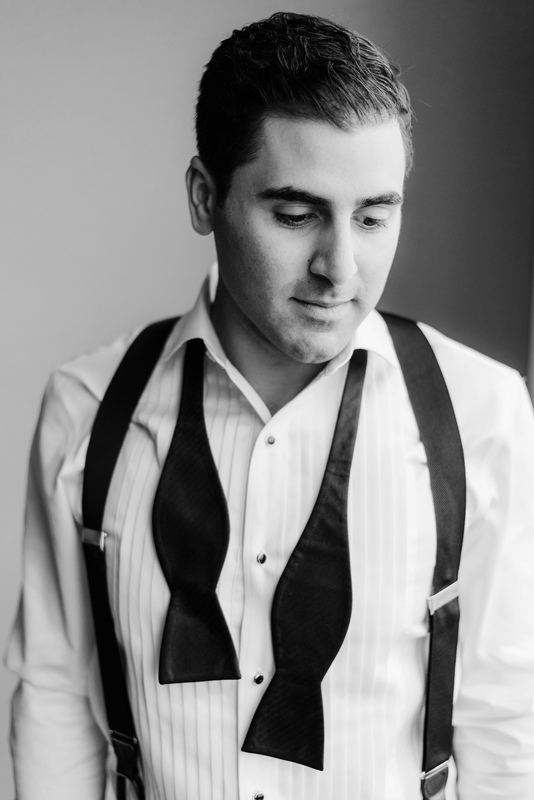 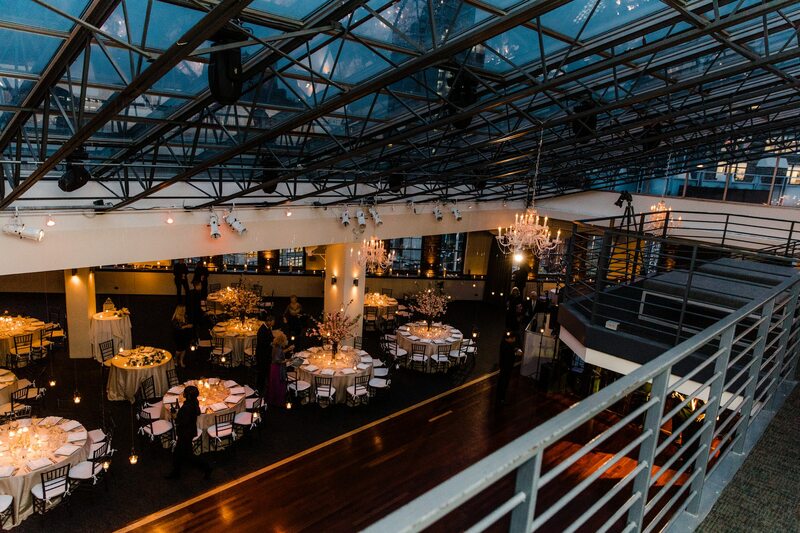 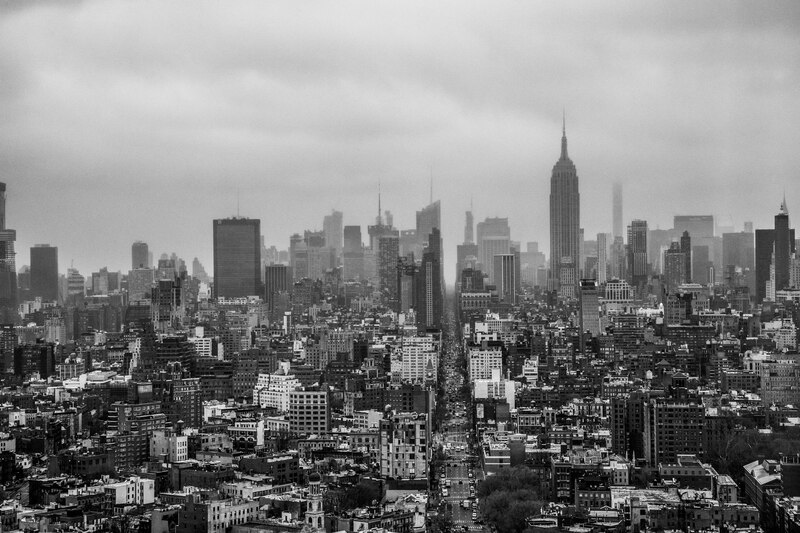 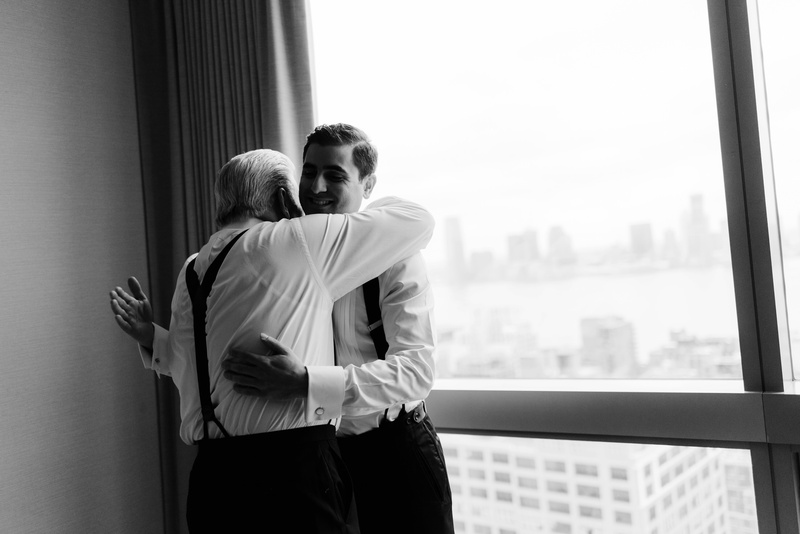 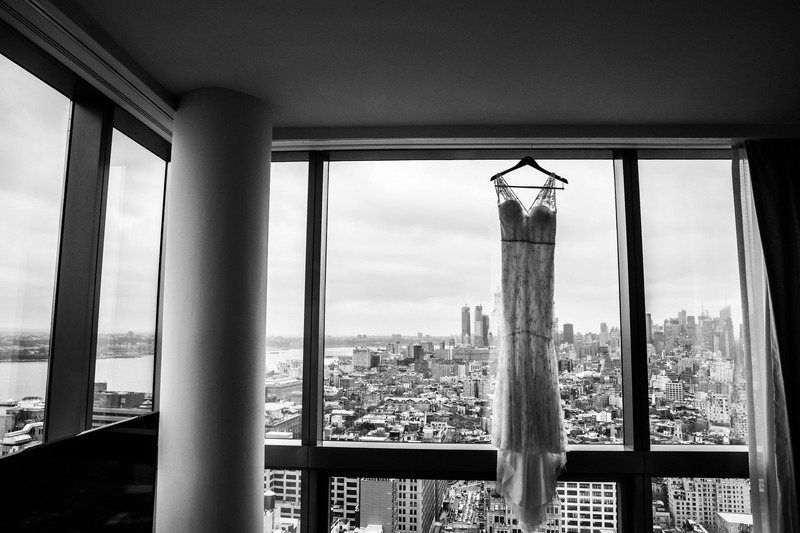 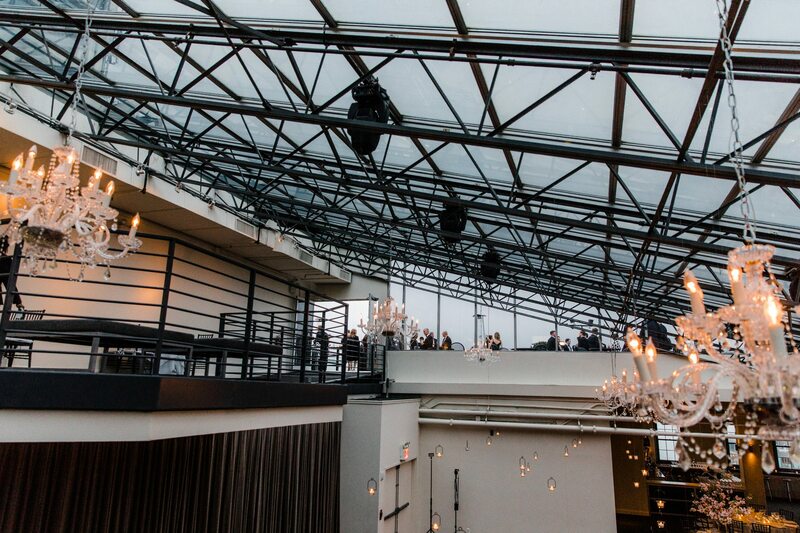 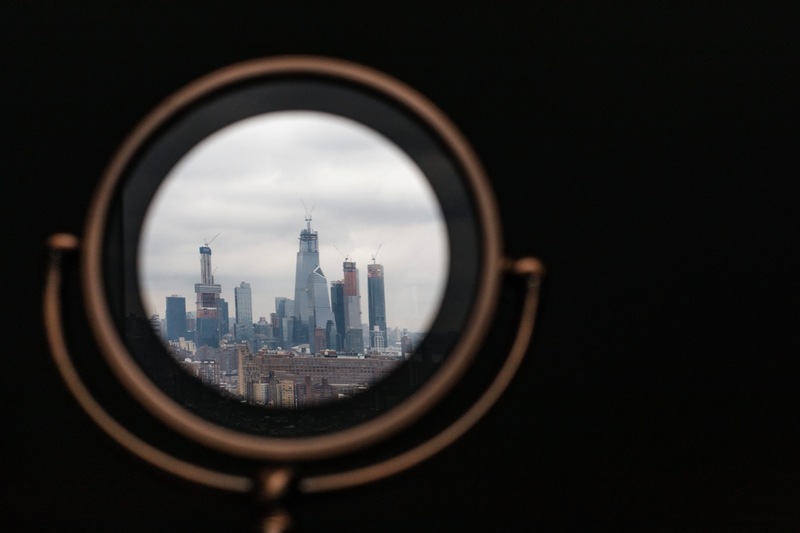 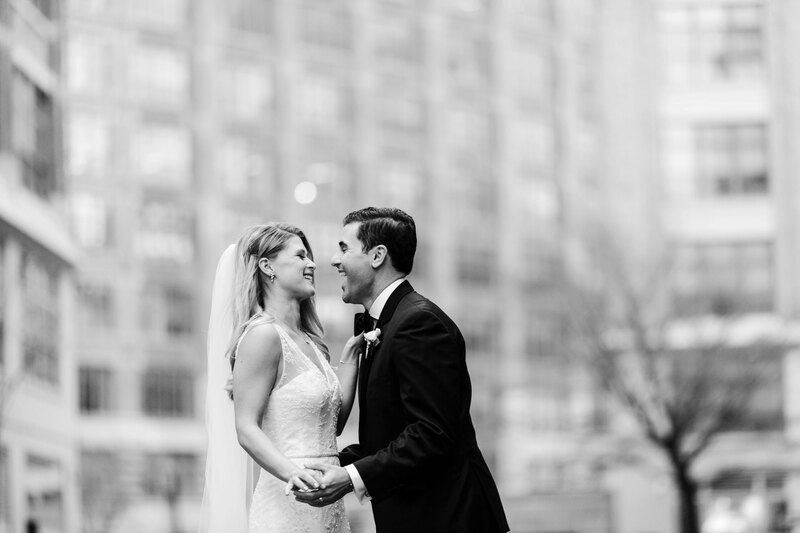 Six months later and it was time to capture their wedding day at the Tribeca Rooftop. 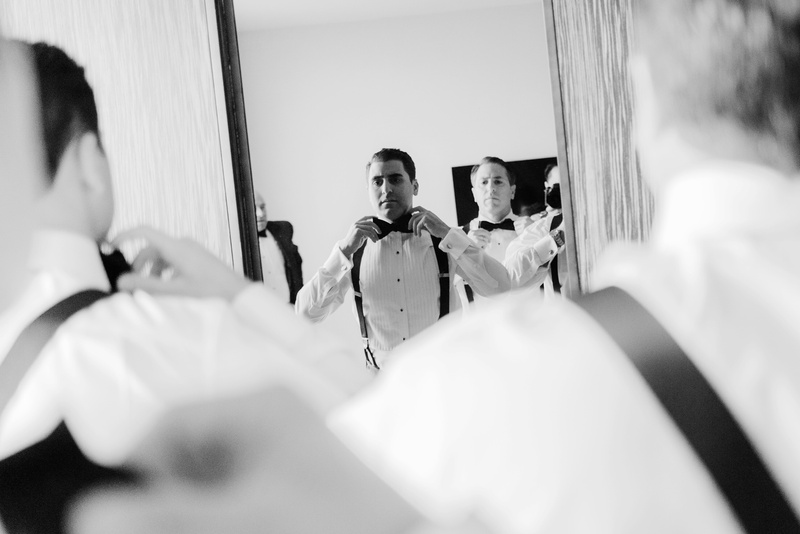 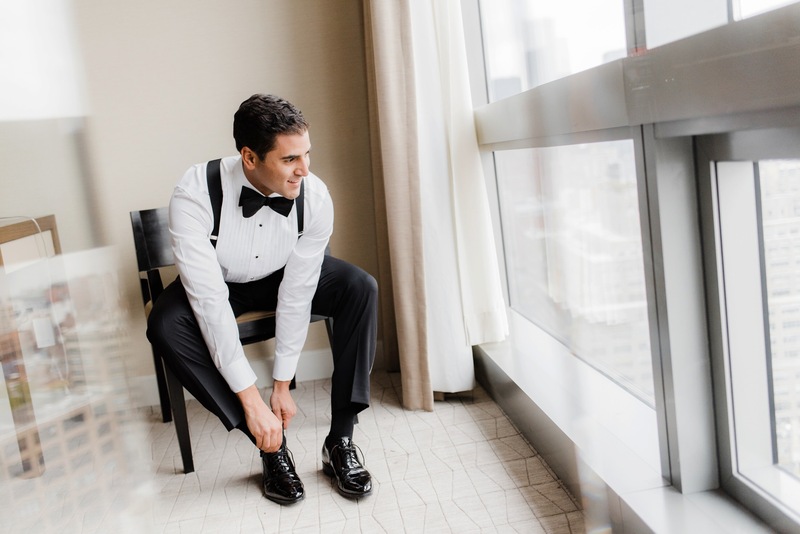 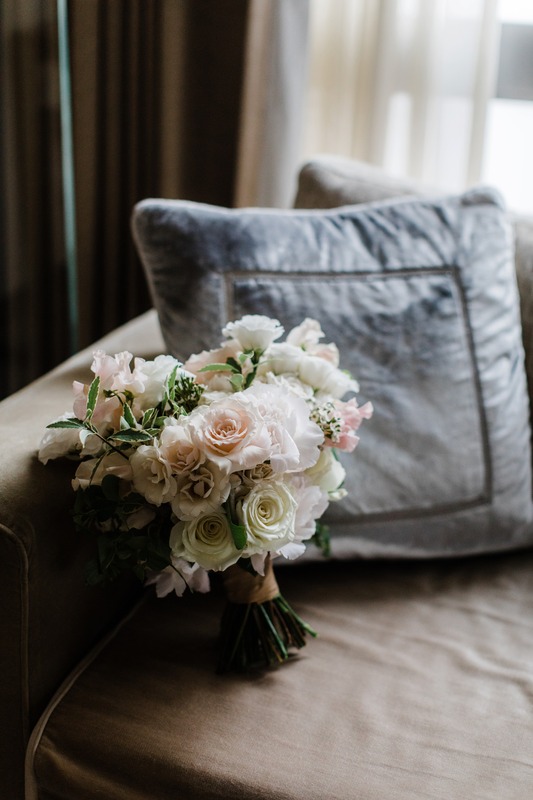 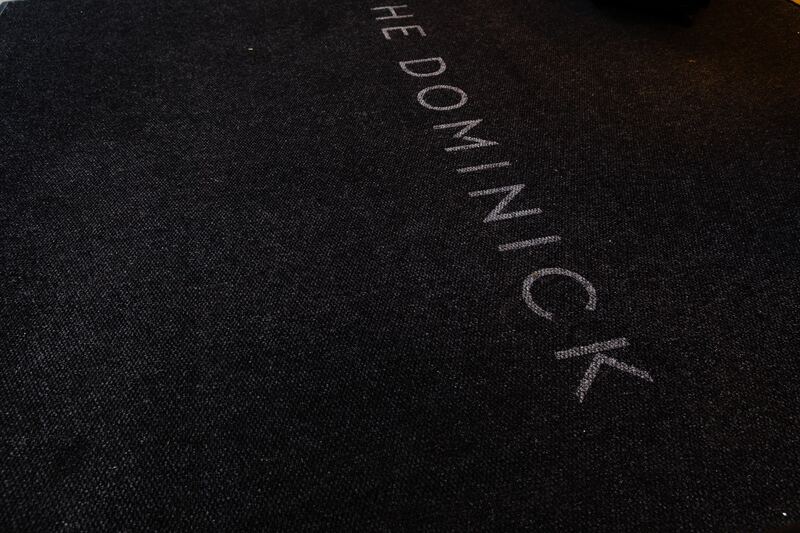 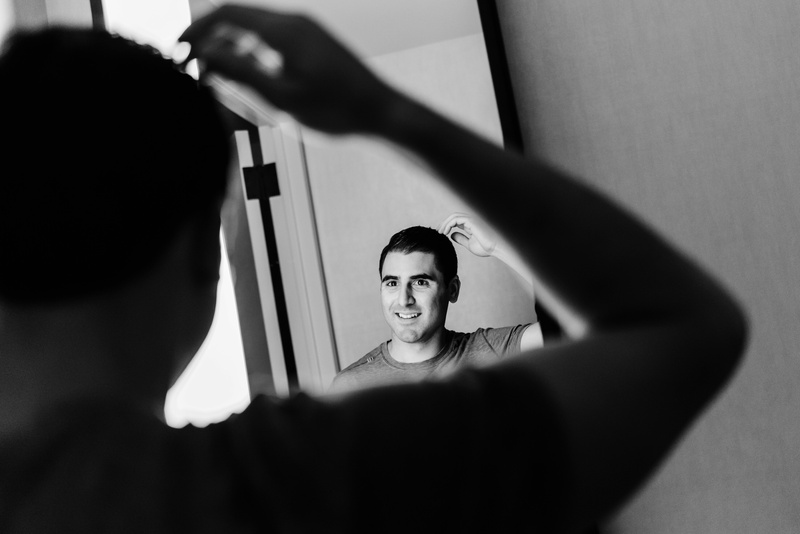 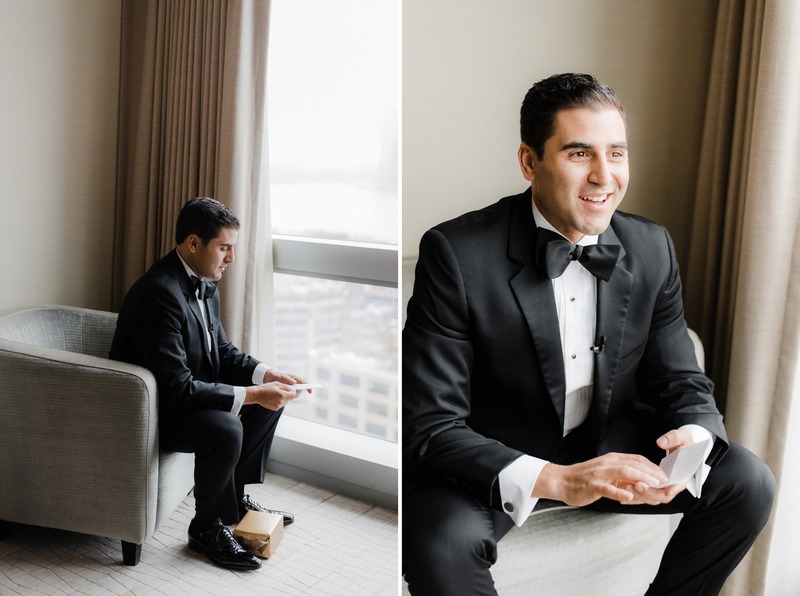 The day started at The Dominick Hotel where both Christina and Nick got dressed and ready for their big day. 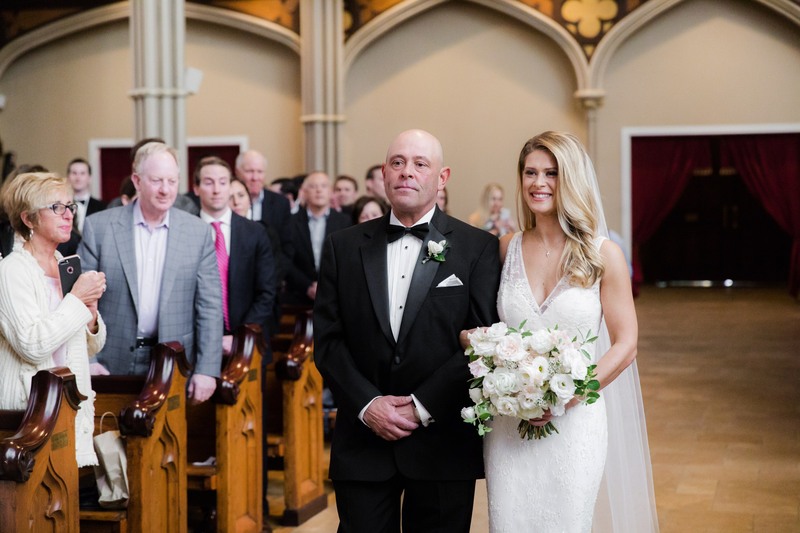 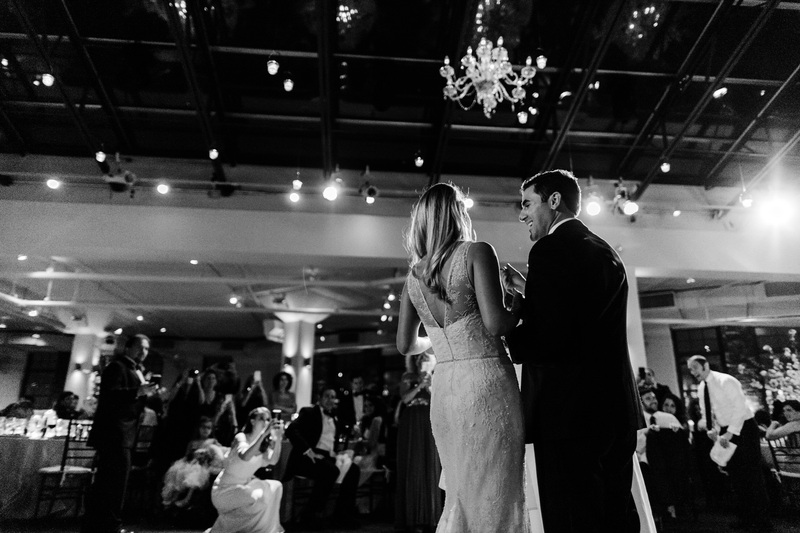 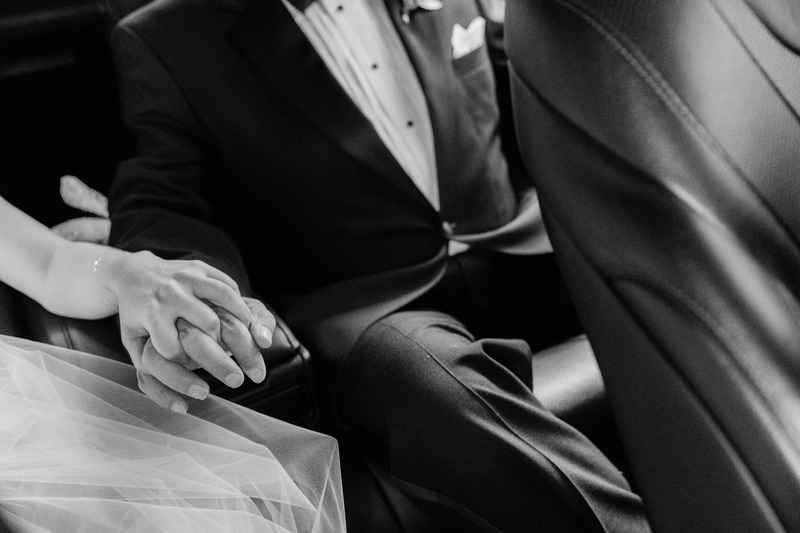 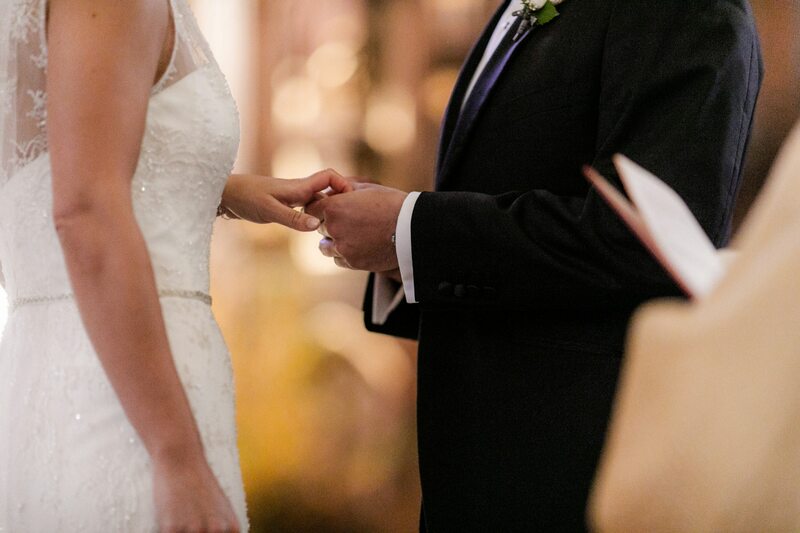 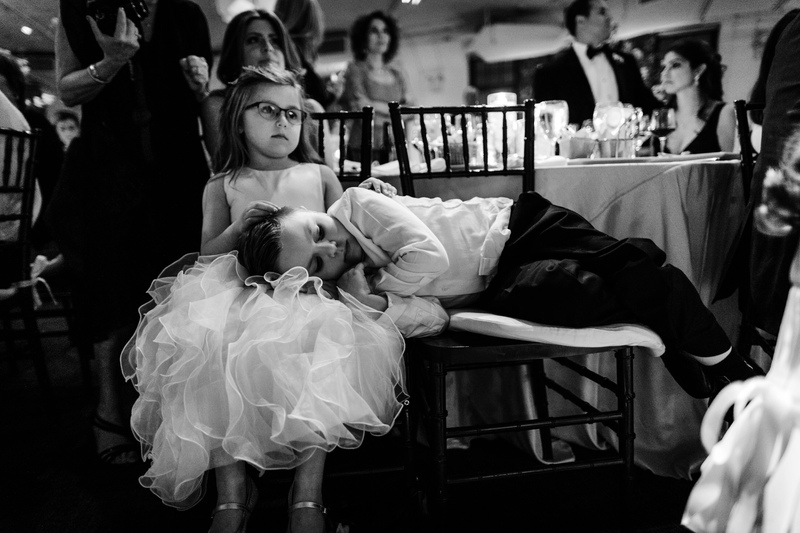 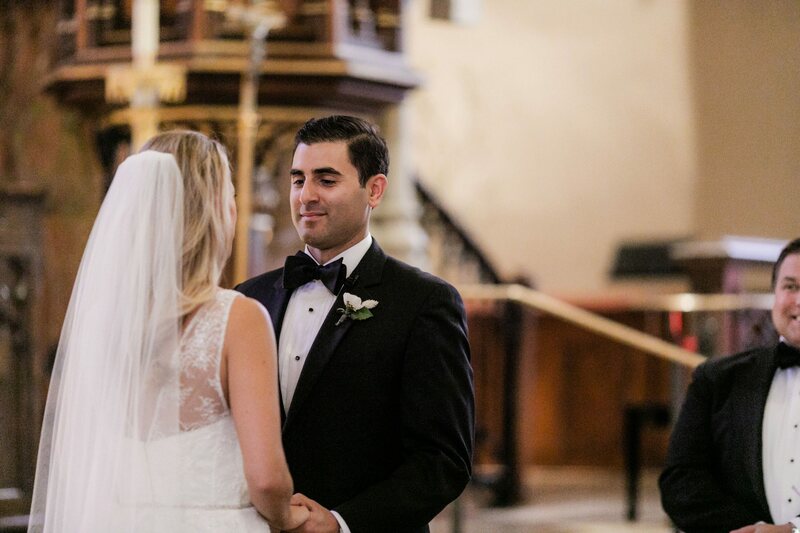 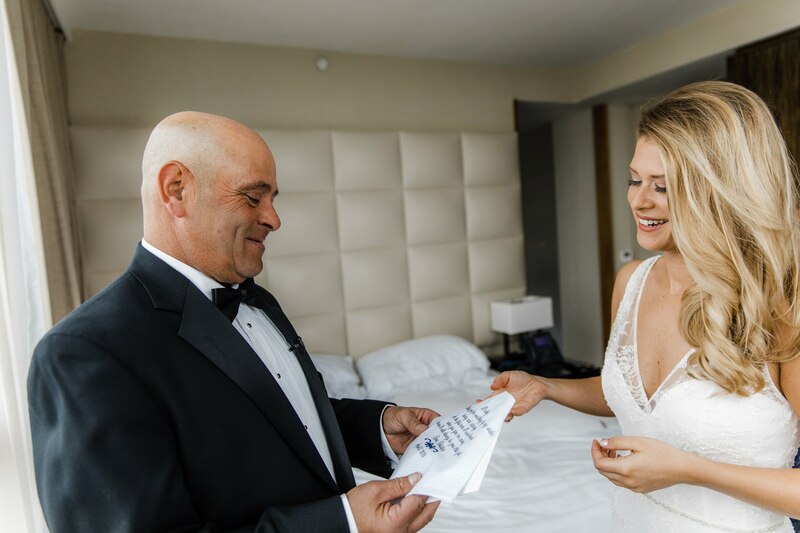 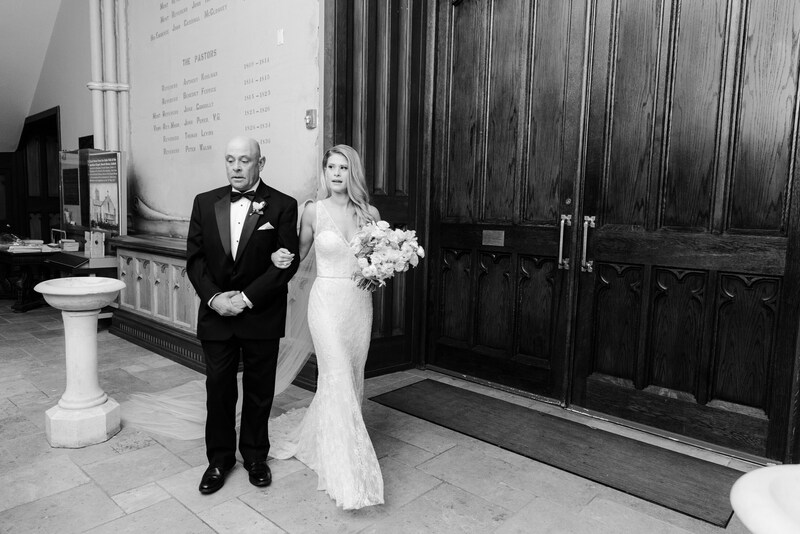 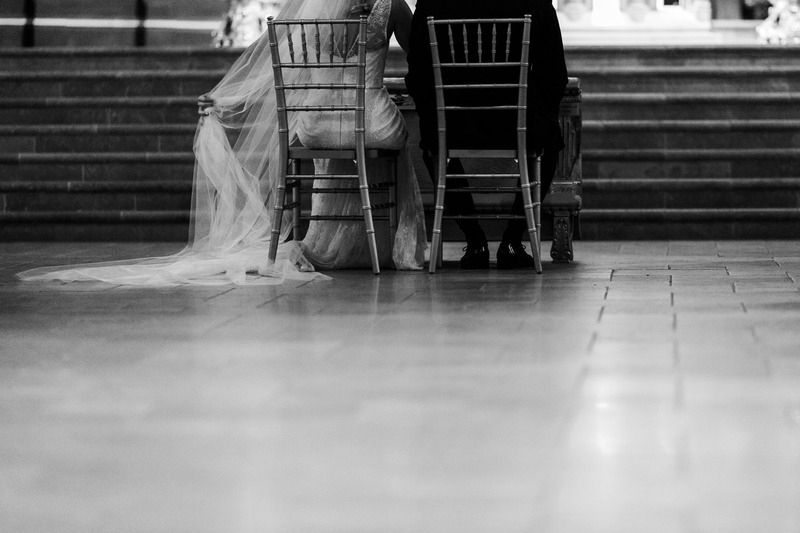 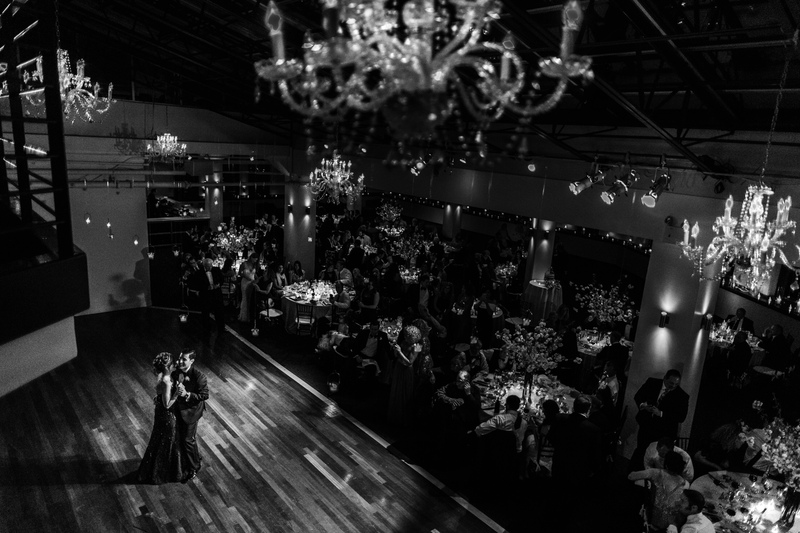 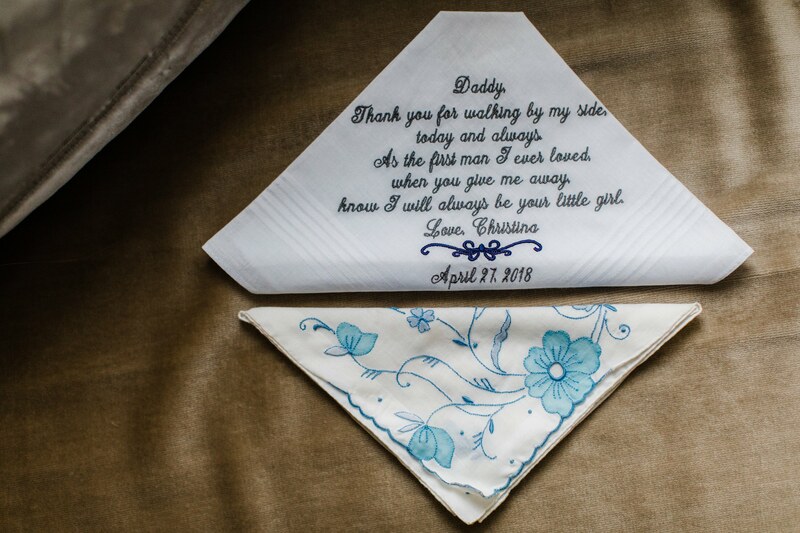 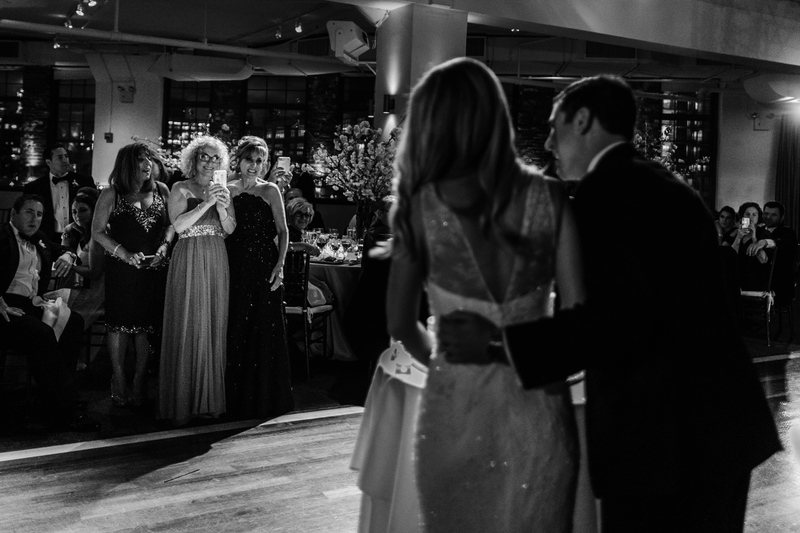 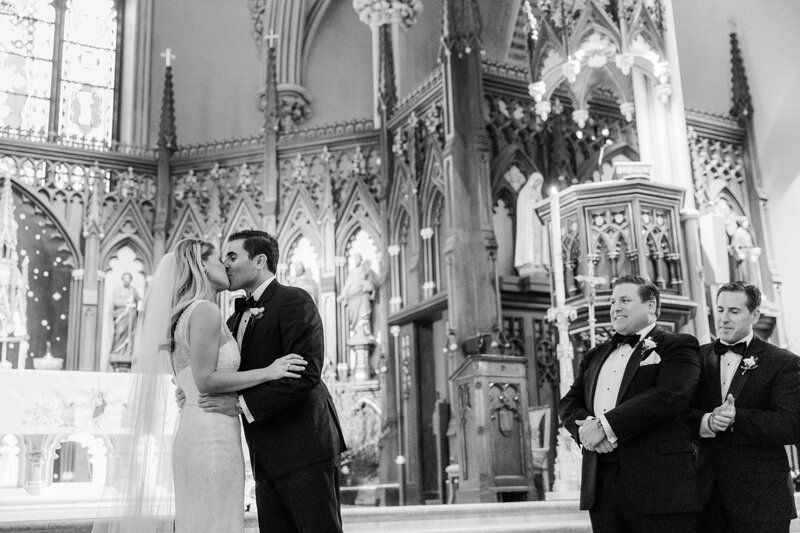 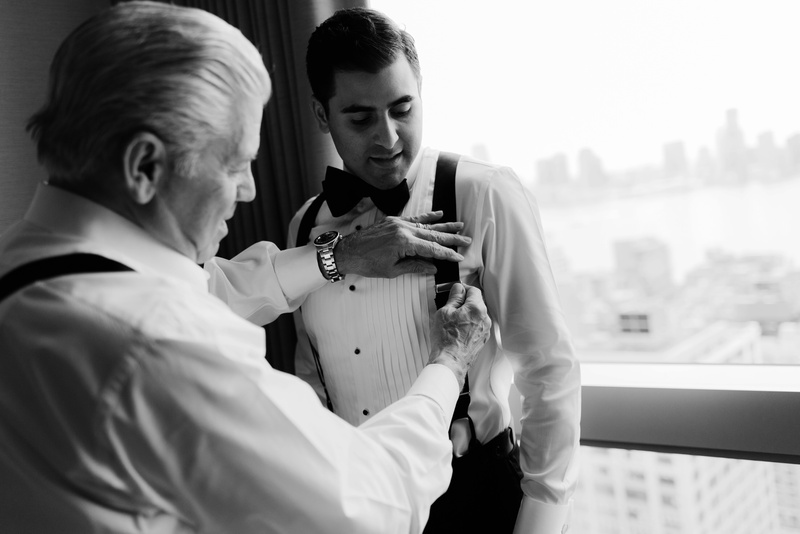 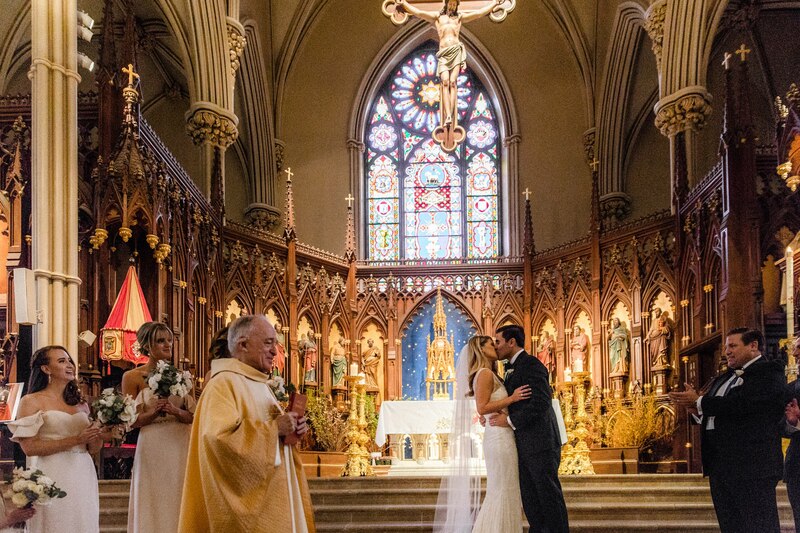 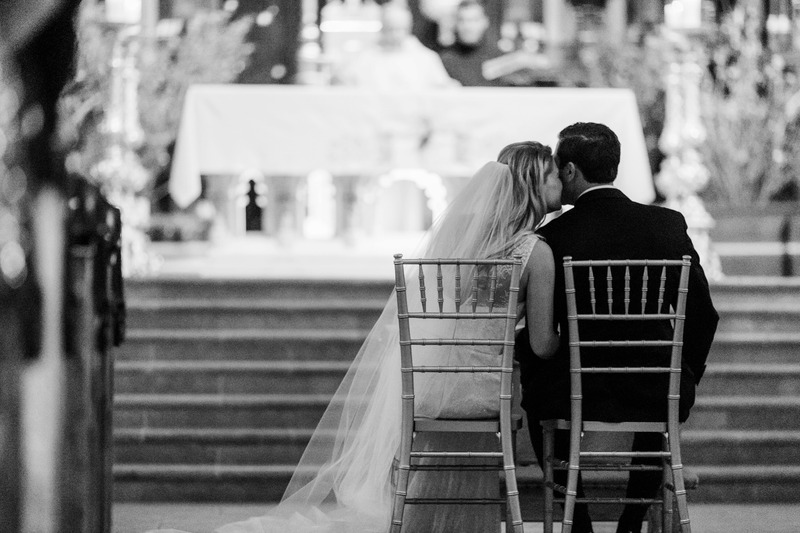 After getting into her Christos gown, Christina had a tender moment with her dad. 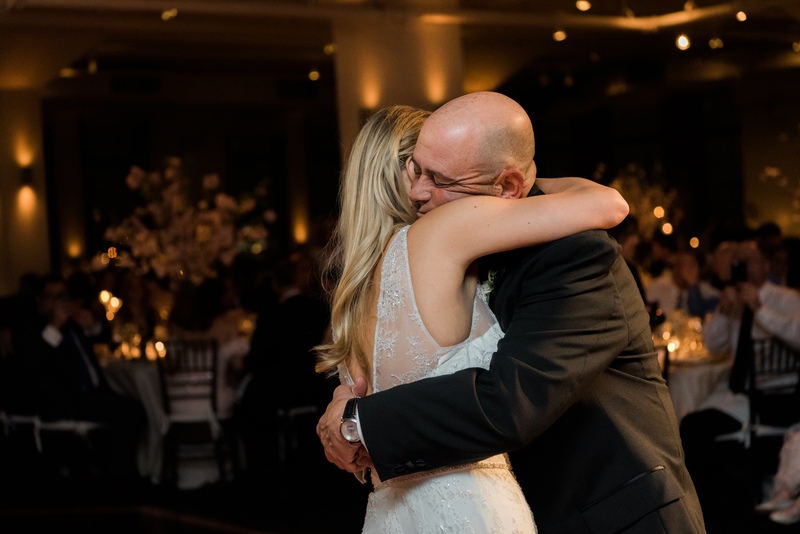 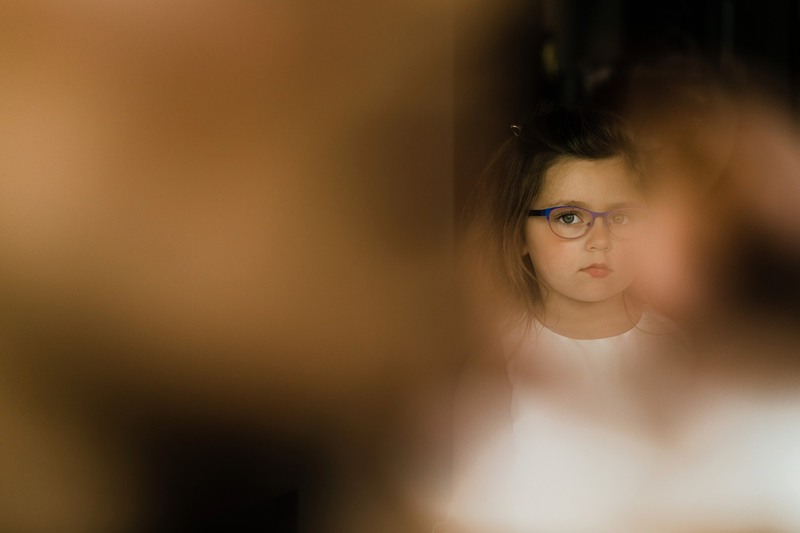 We love these moments where Dad sees his daughter for the first time! 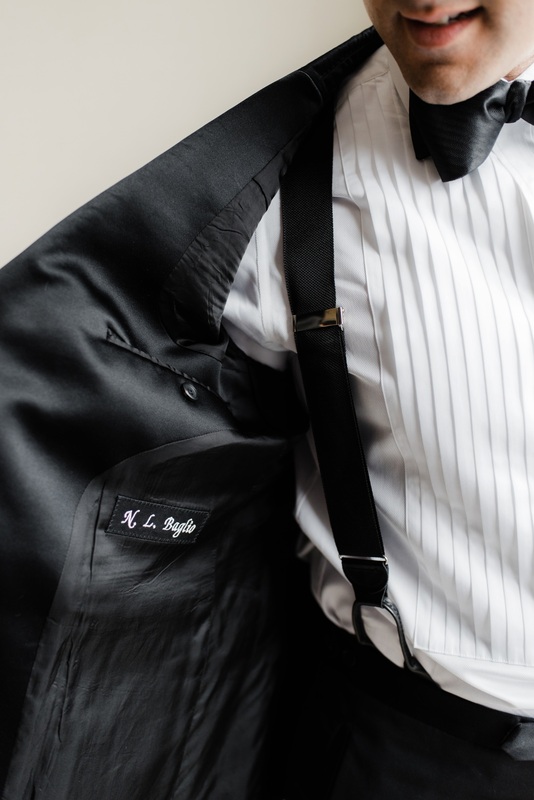 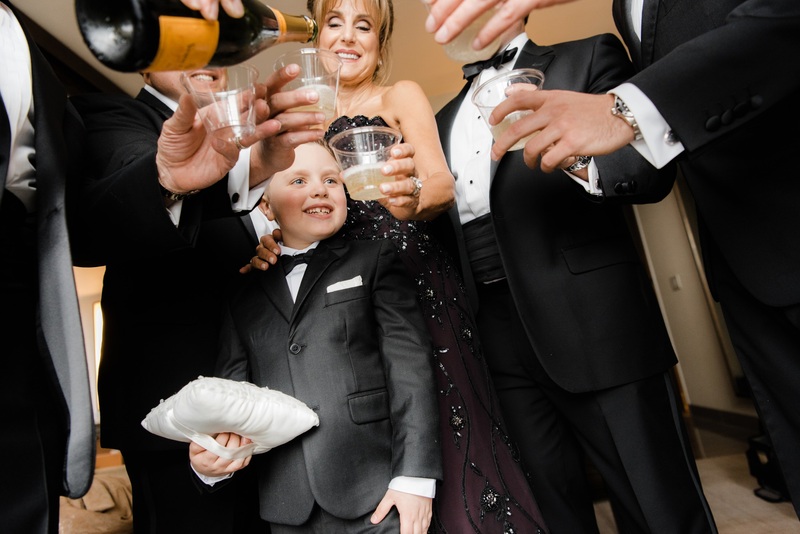 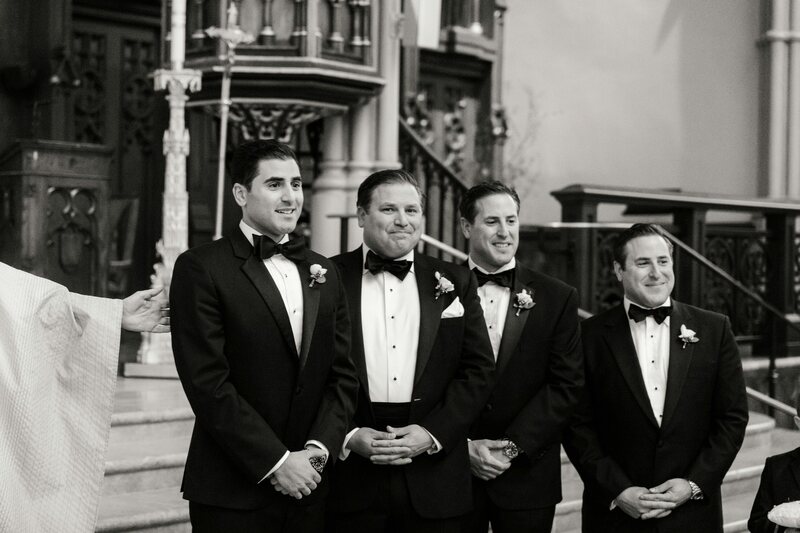 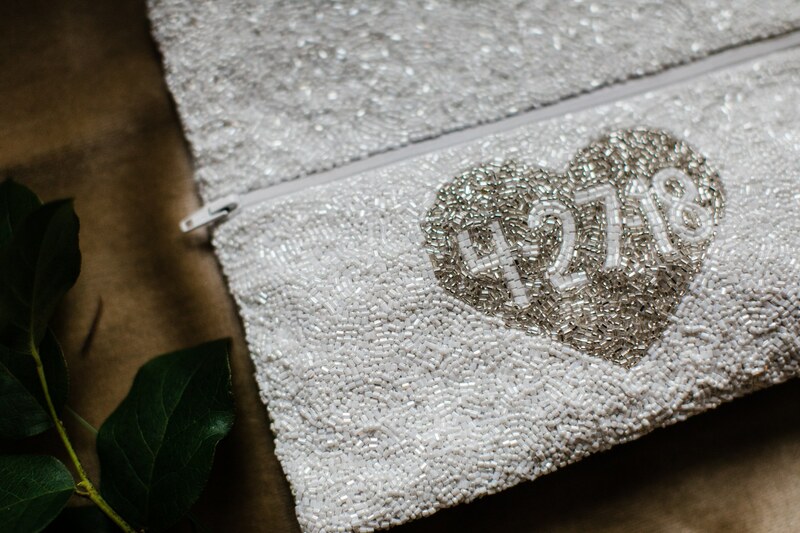 Nick wore a custom My Suit suit, monogrammed with his initials on the inside. 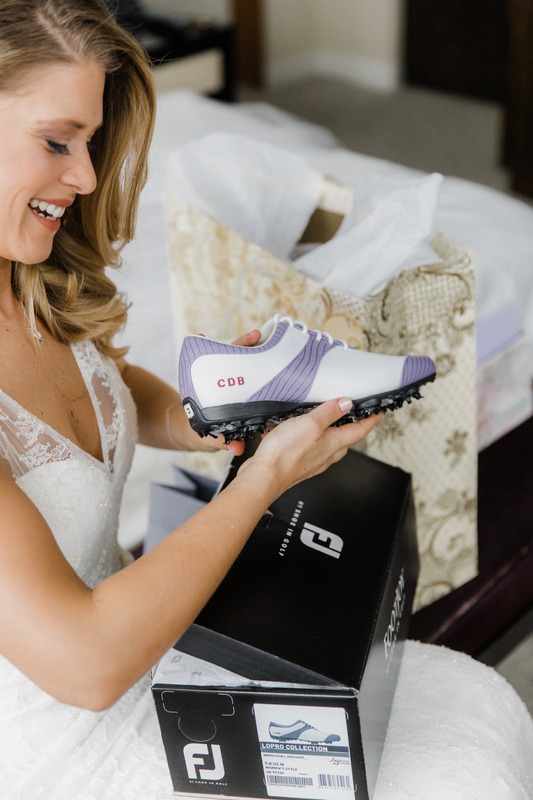 They exchanged cards and gifts, a Rolex for Nick, a bracelet and new golf shoes for Christina (she comes from a family of amazing golfers, including herself!). 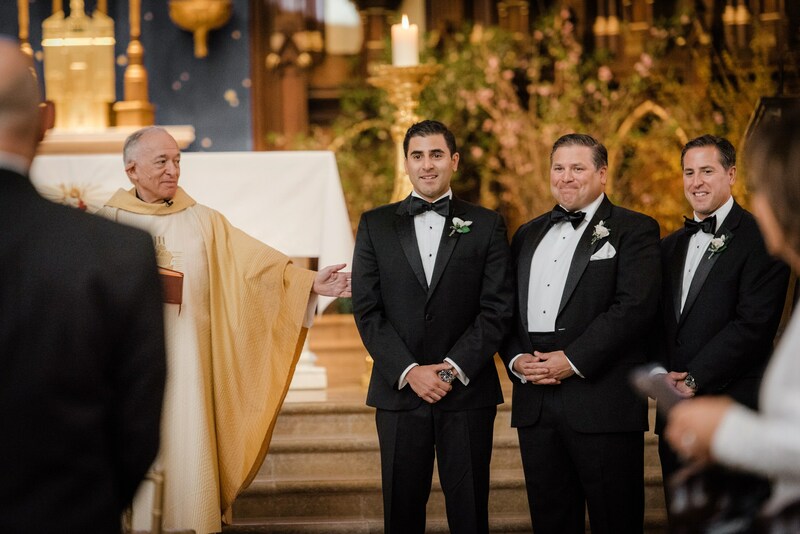 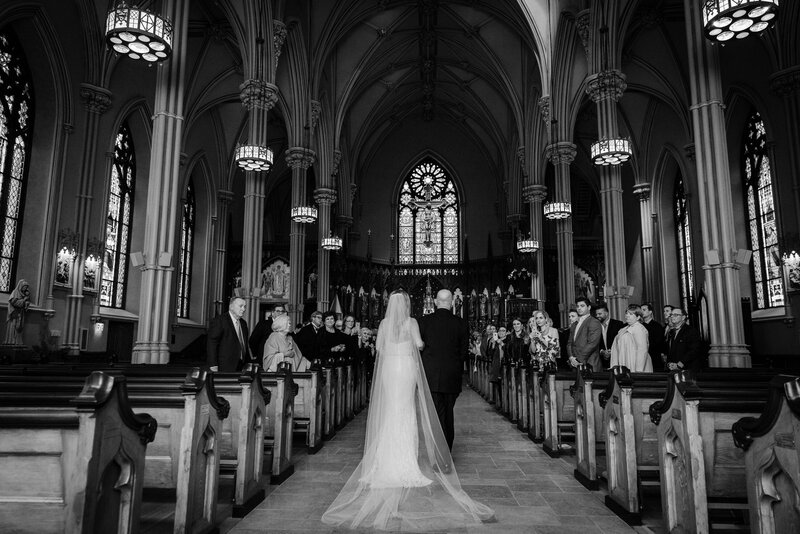 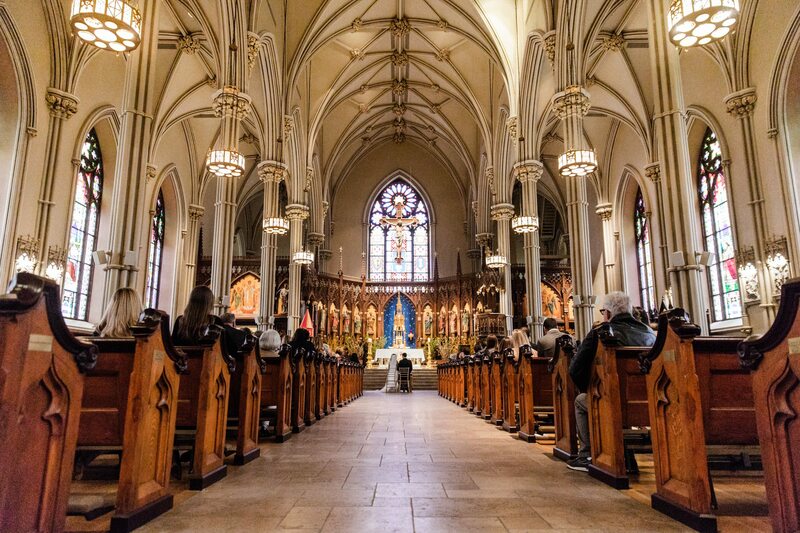 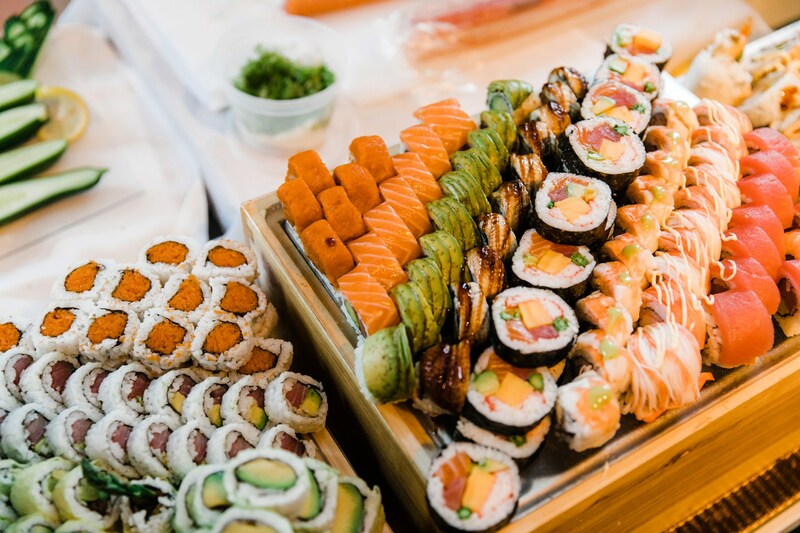 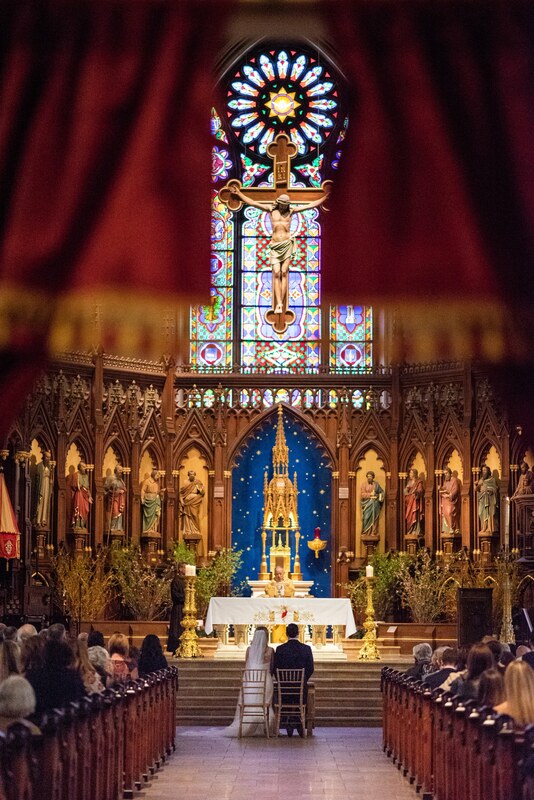 Then it was off to their ceremony which took place at the Old St. Patrick’s Cathedral on the corner of Mott St and Prince St. 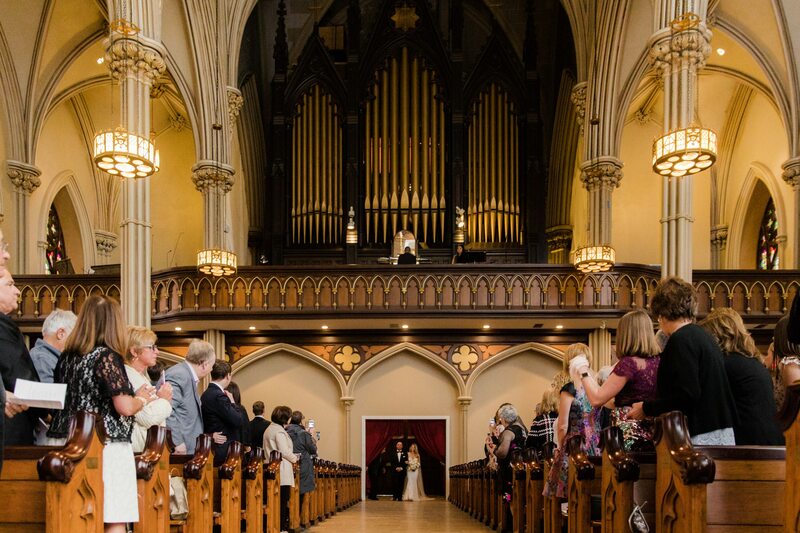 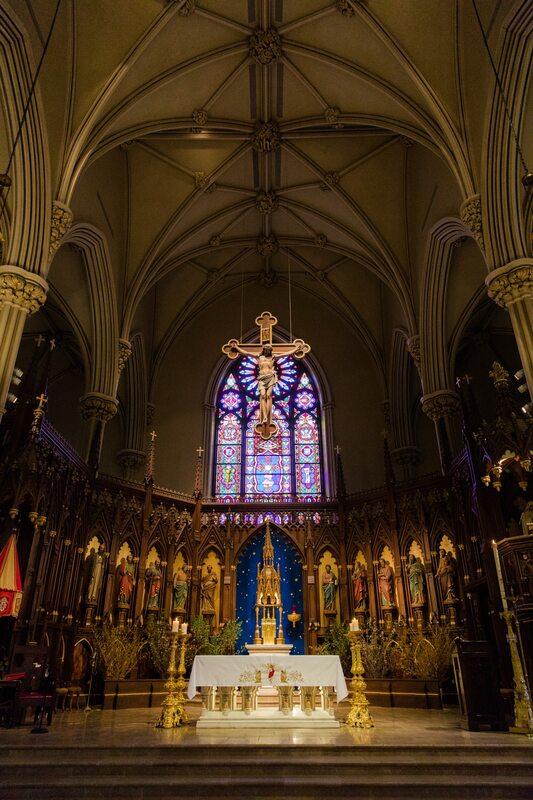 This church has so much history and the interior was breathtaking! 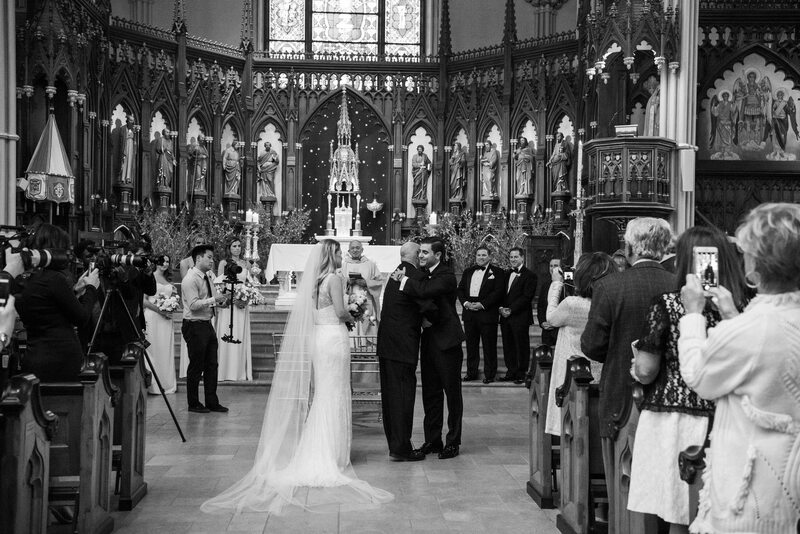 Nick and Christina said their vows and were announced husband and wife! 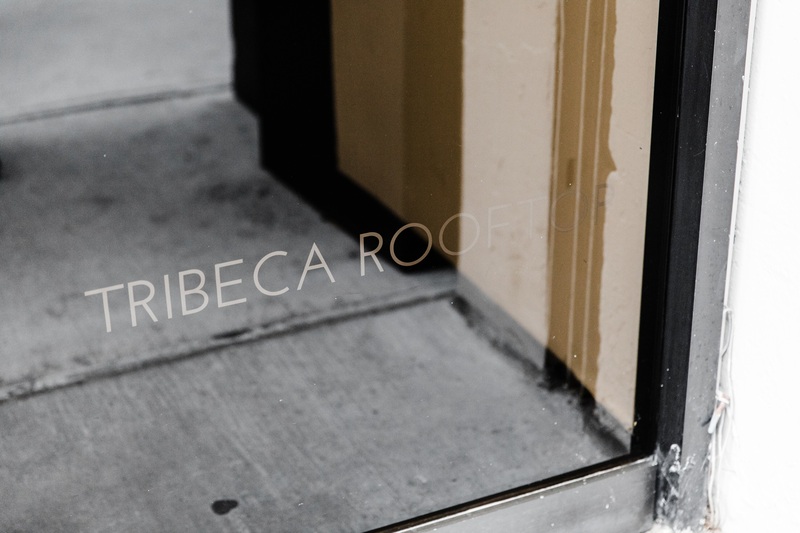 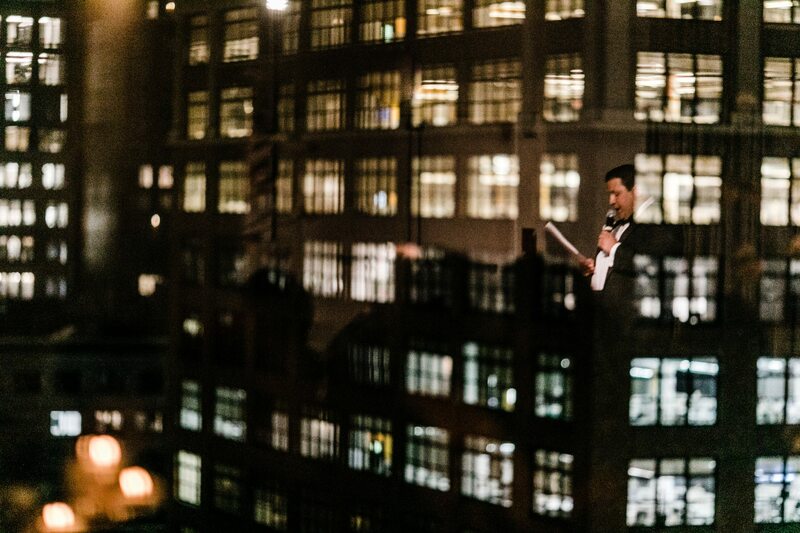 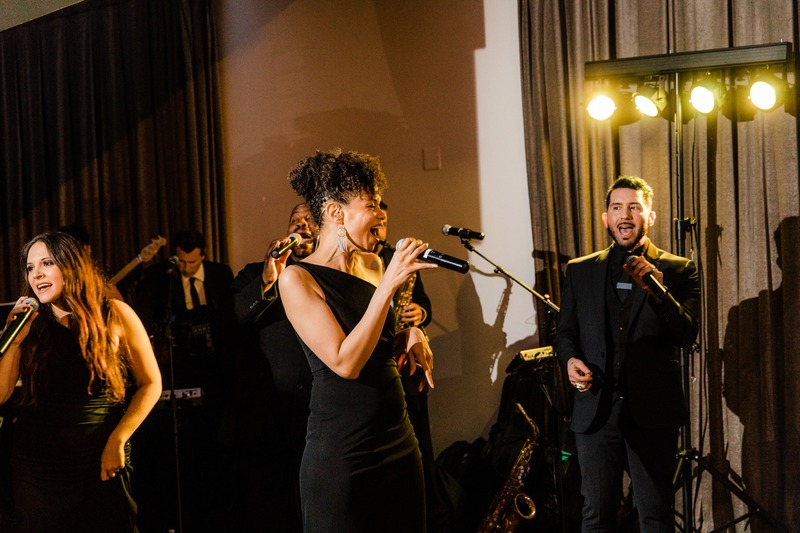 We jumped in our cars and headed to the Tribeca Rooftop where the rest of the night would play out. 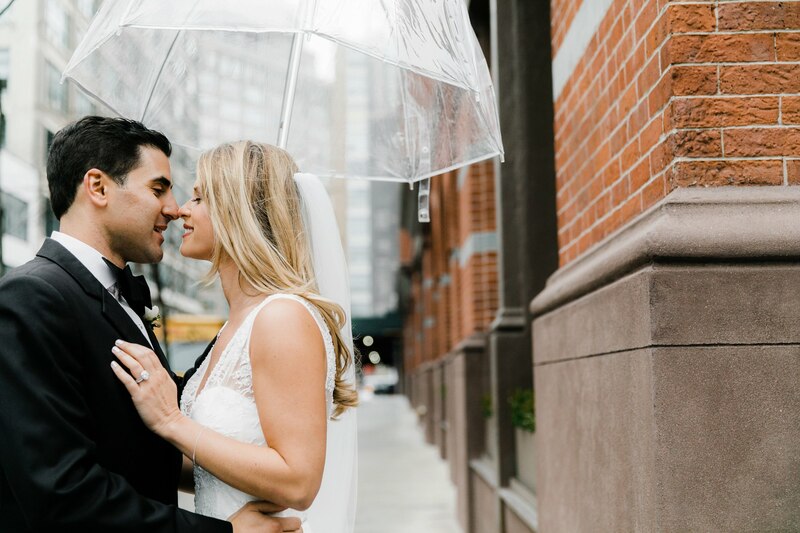 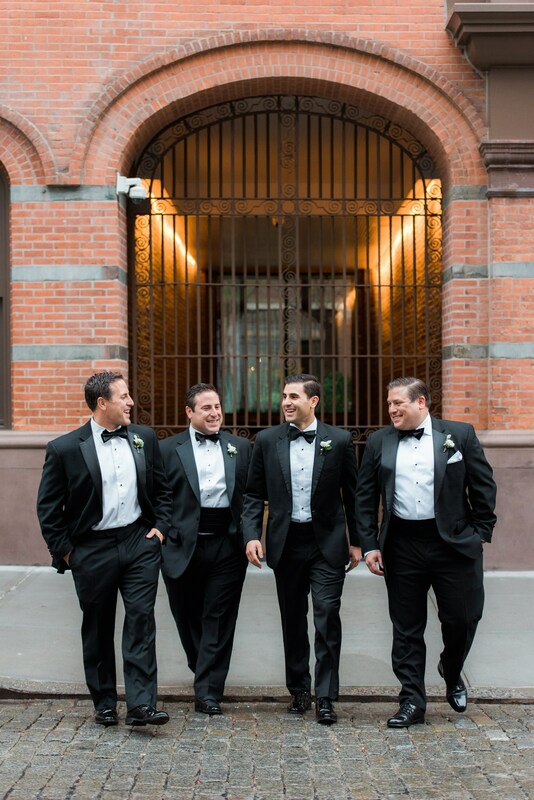 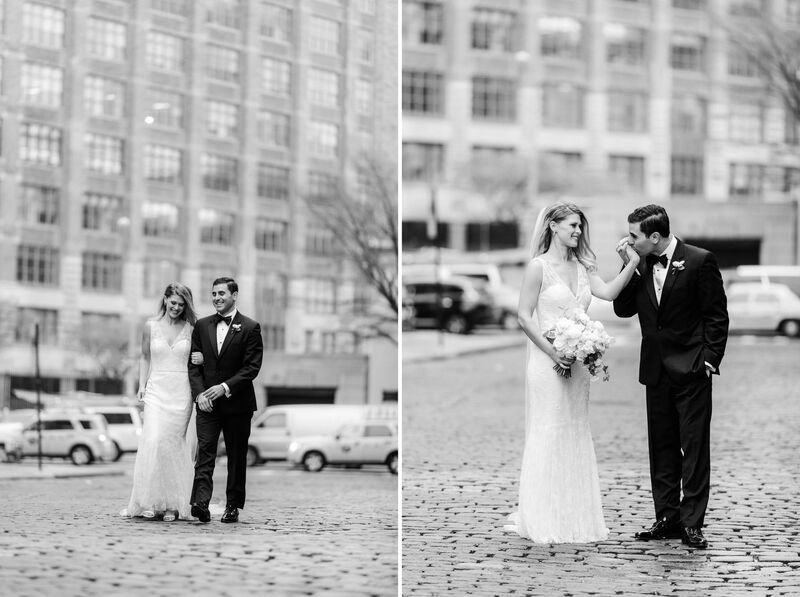 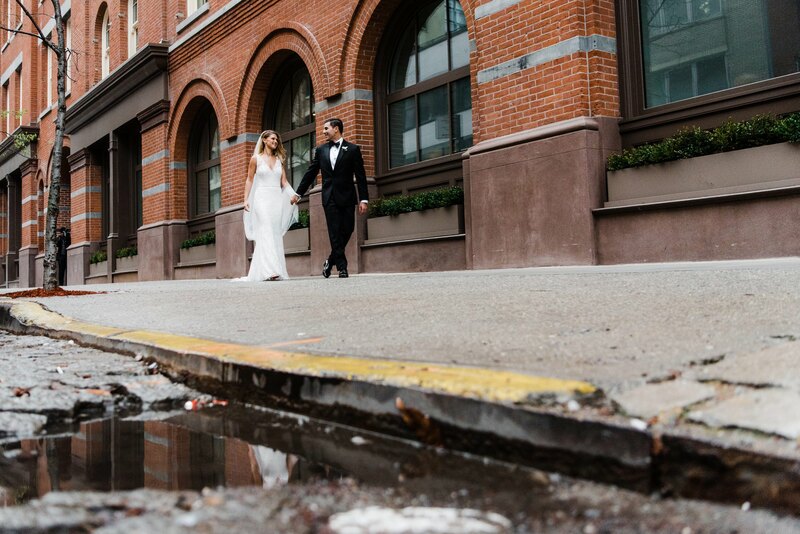 We took advantage of the cobblestone streets outside Tribeca Rooftop and the surrounding areas – the perfect location for portraits! 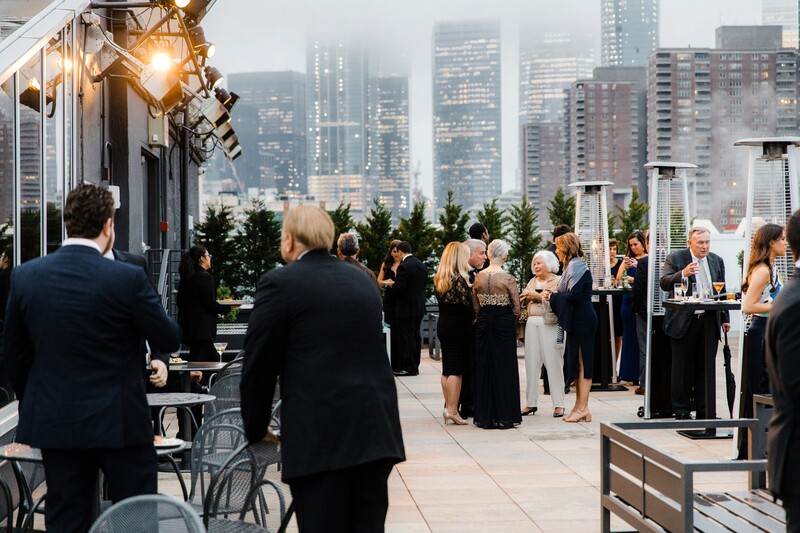 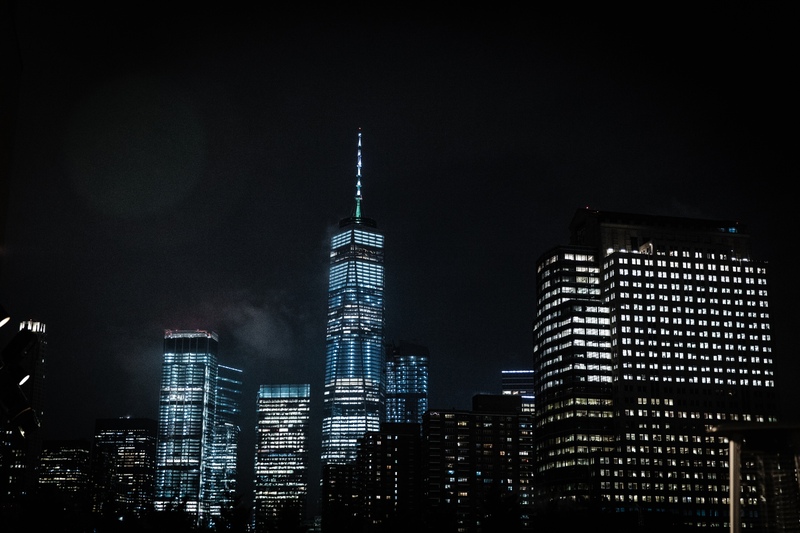 Because it was raining, most of the cocktail hour was spent indoors but luckily the rain let up towards the end and Christina, Nick, and her guests were able to enjoy the roof deck and awesome views of Manhattan. 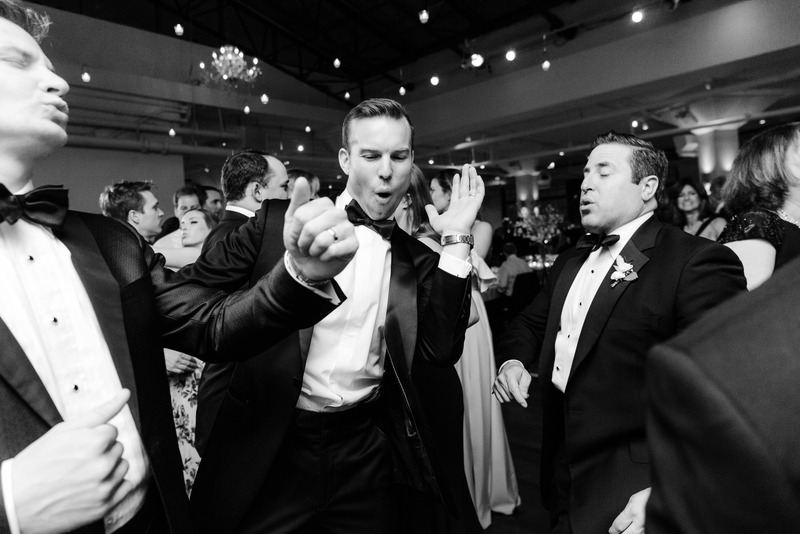 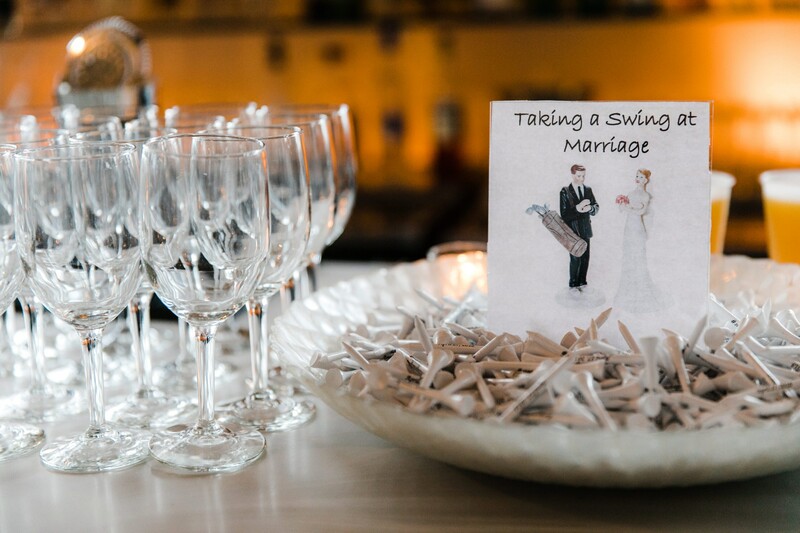 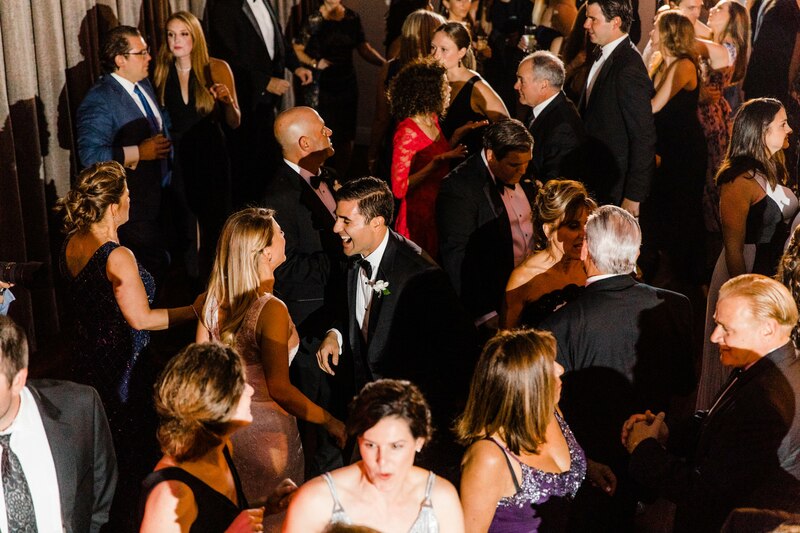 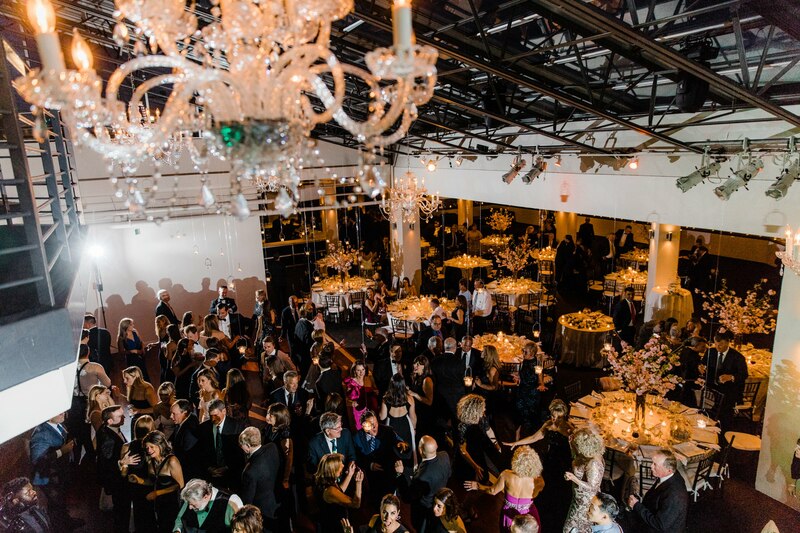 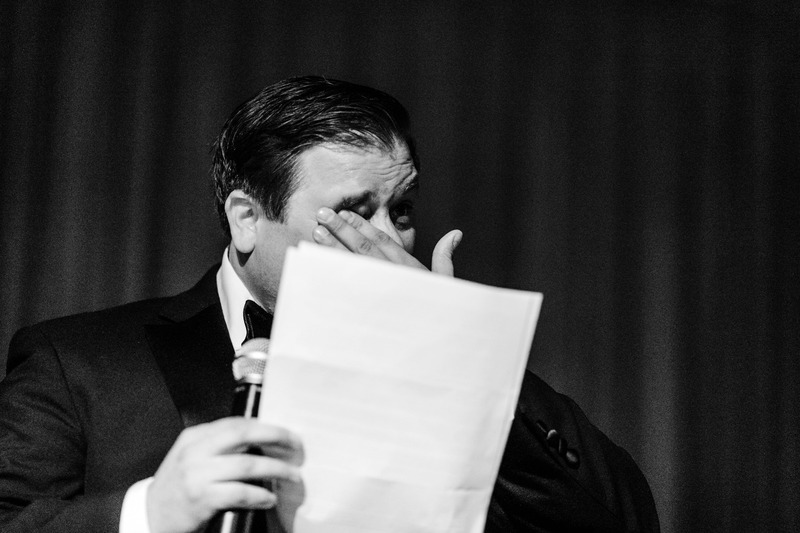 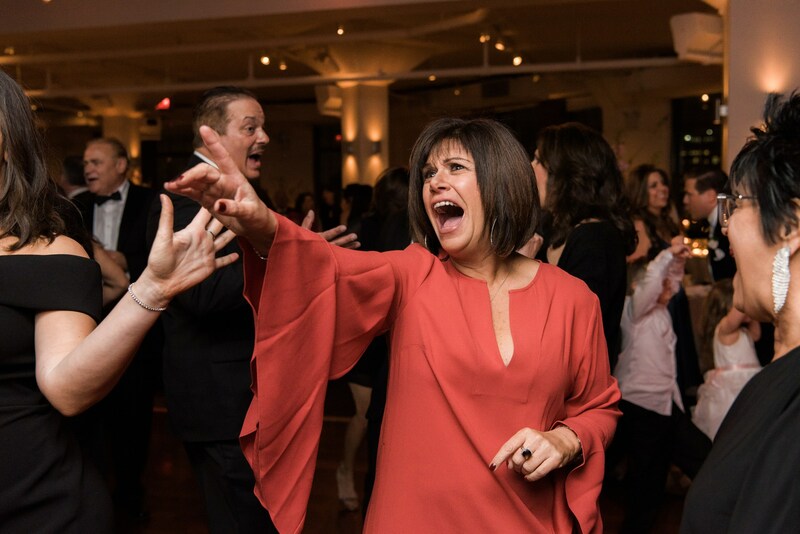 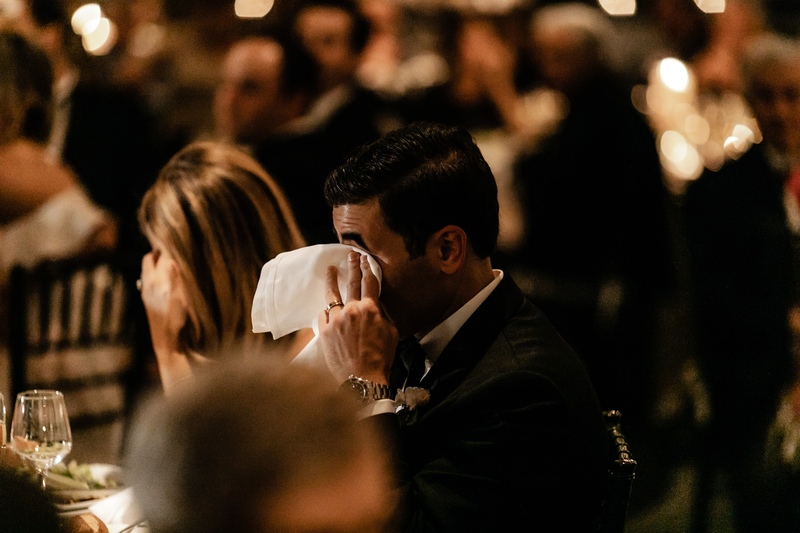 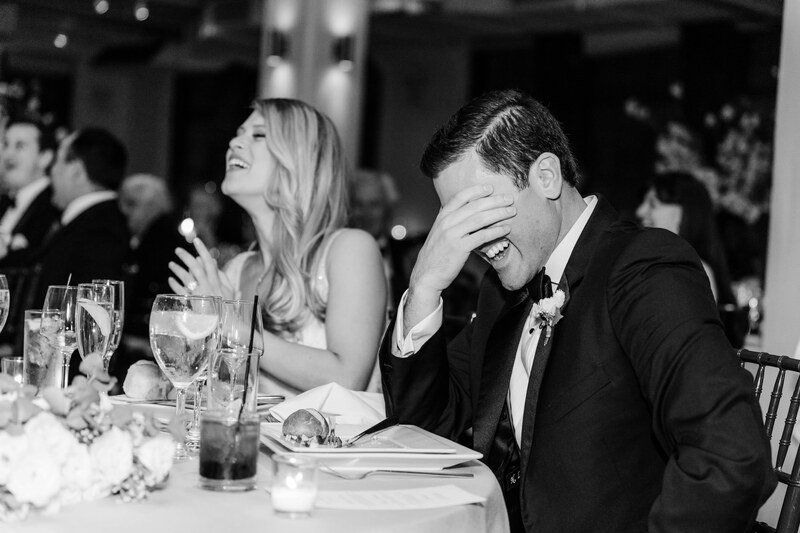 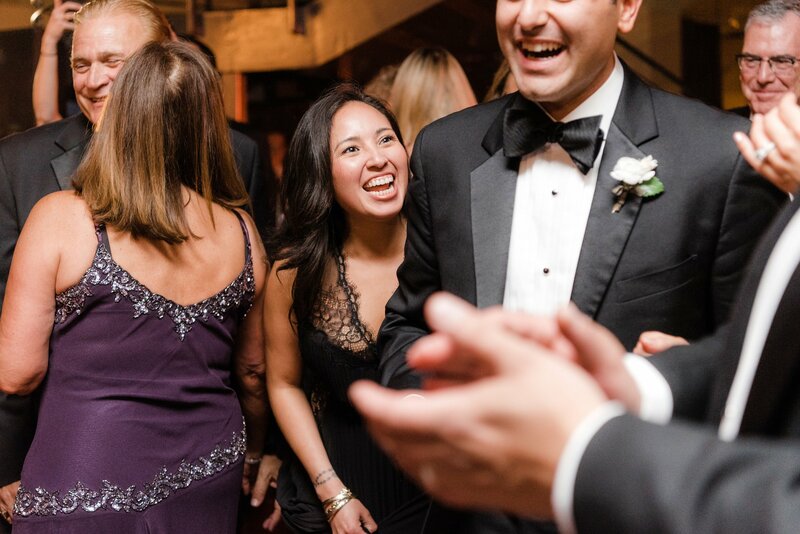 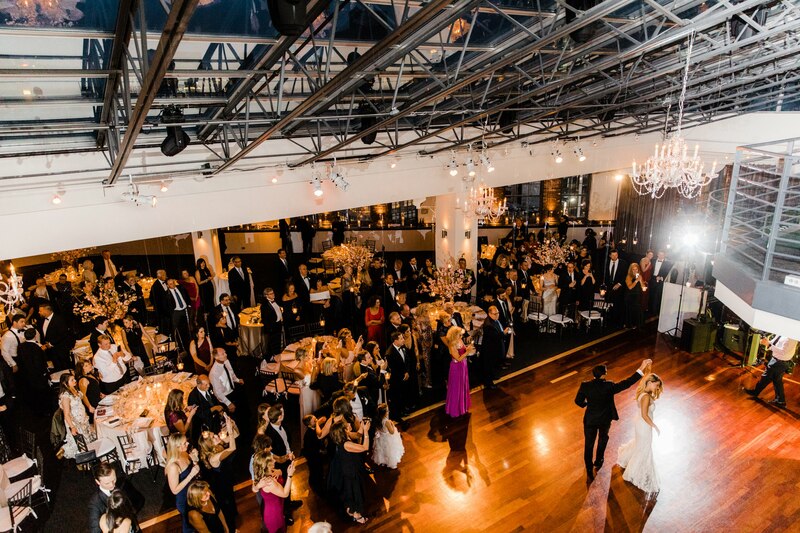 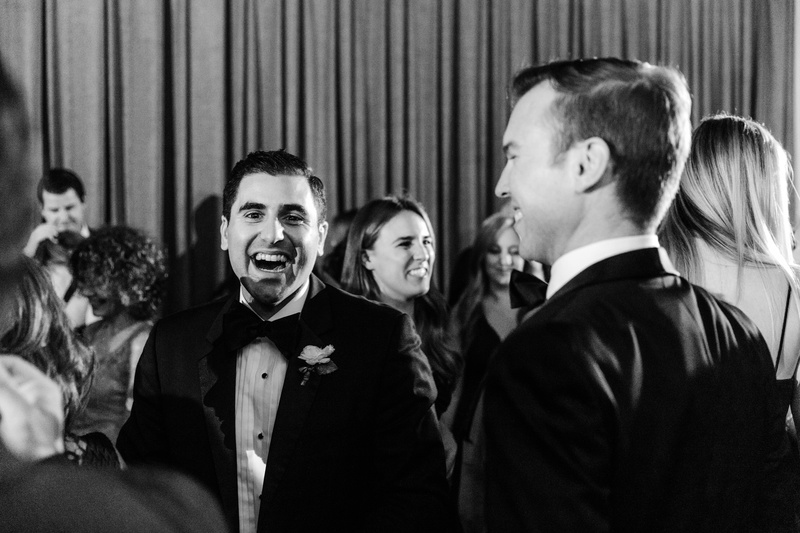 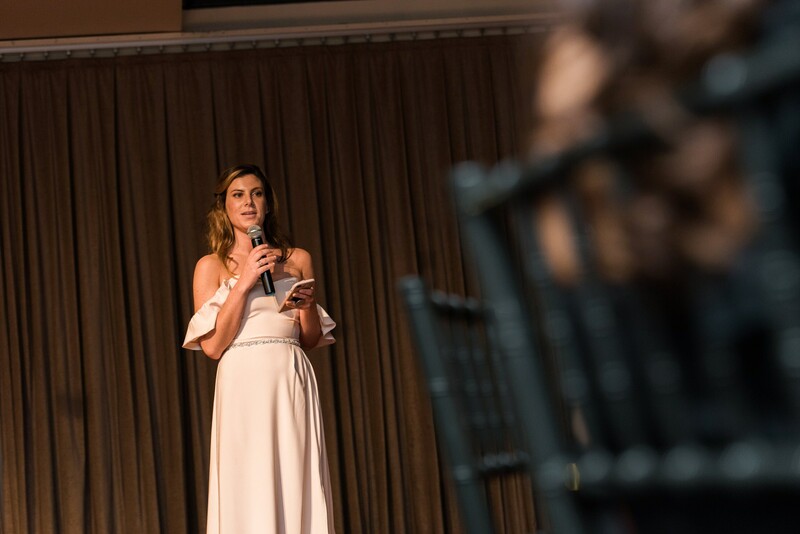 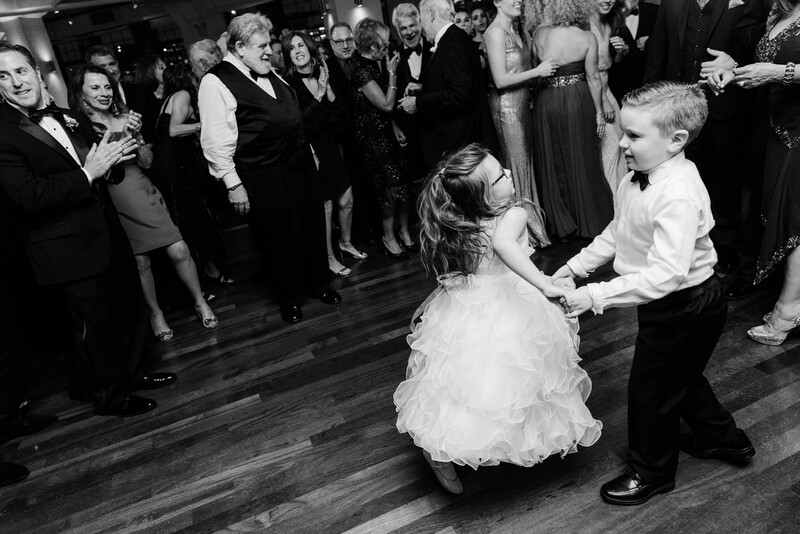 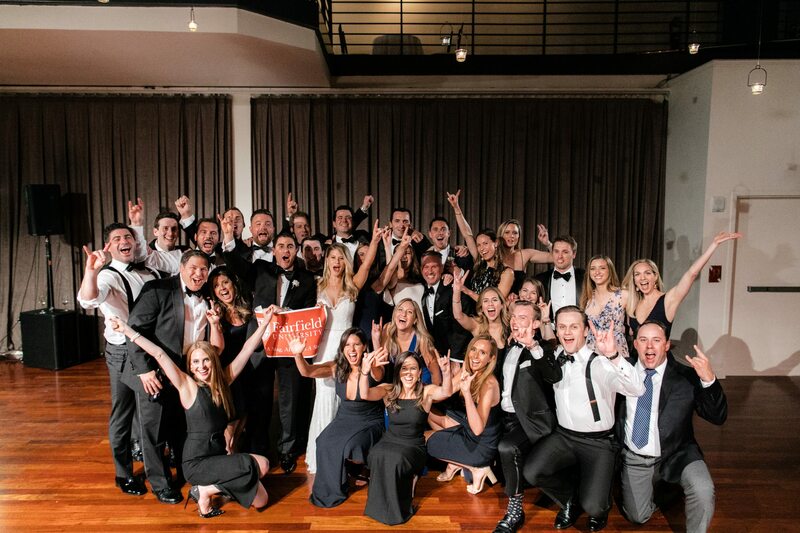 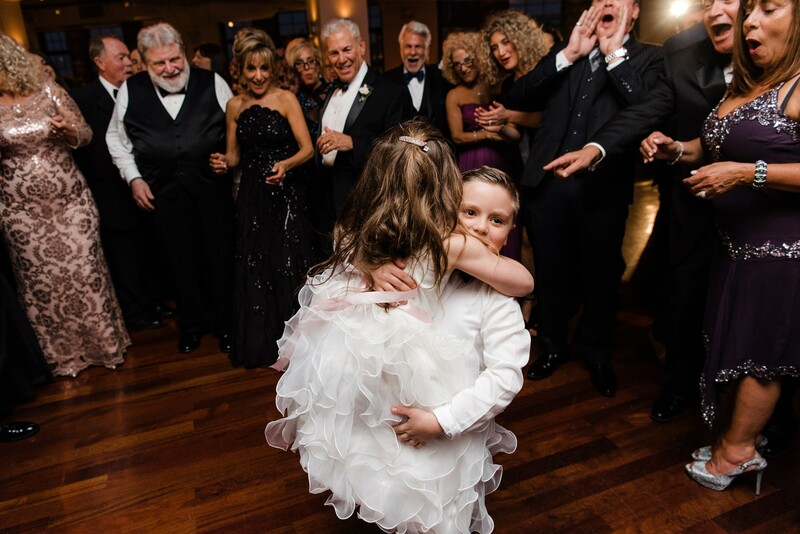 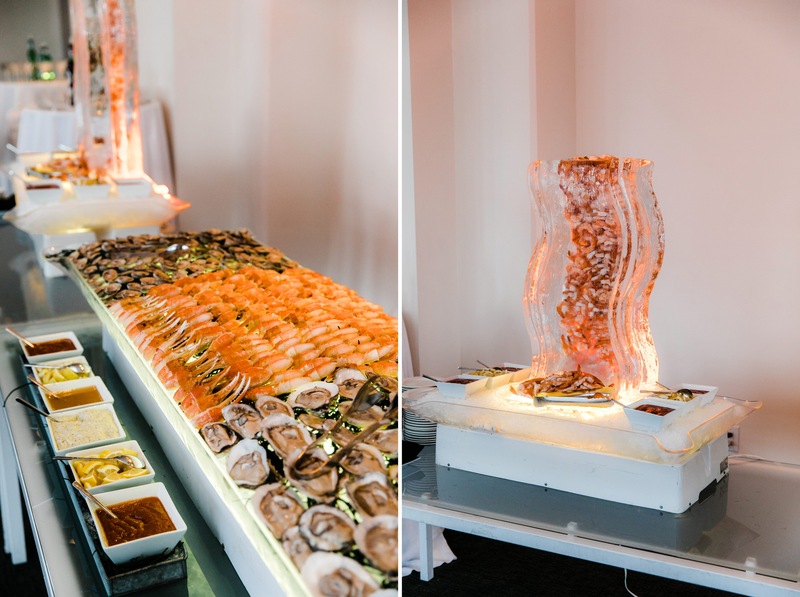 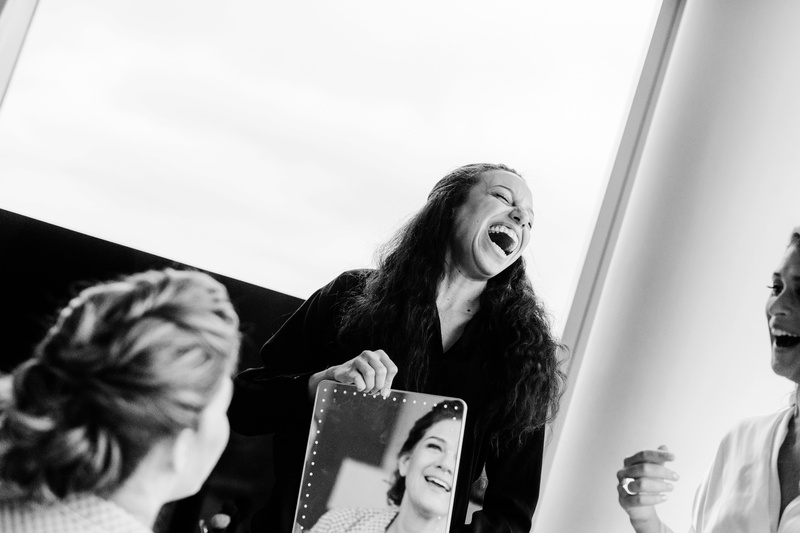 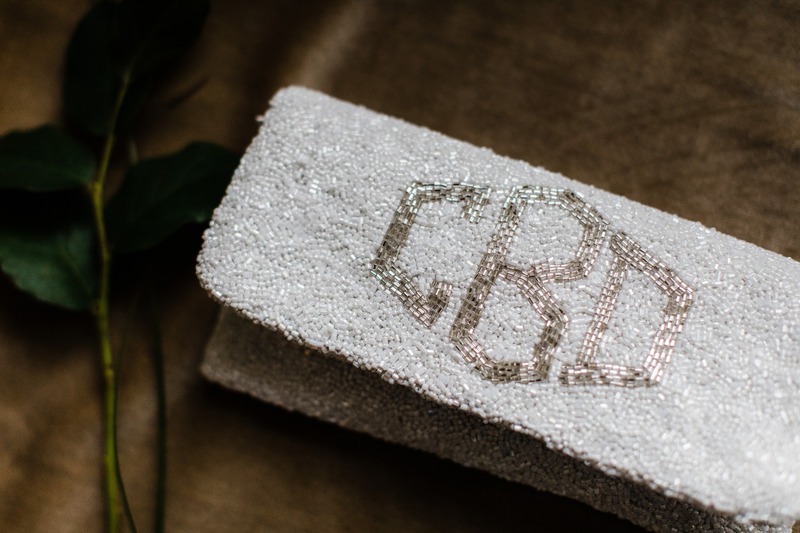 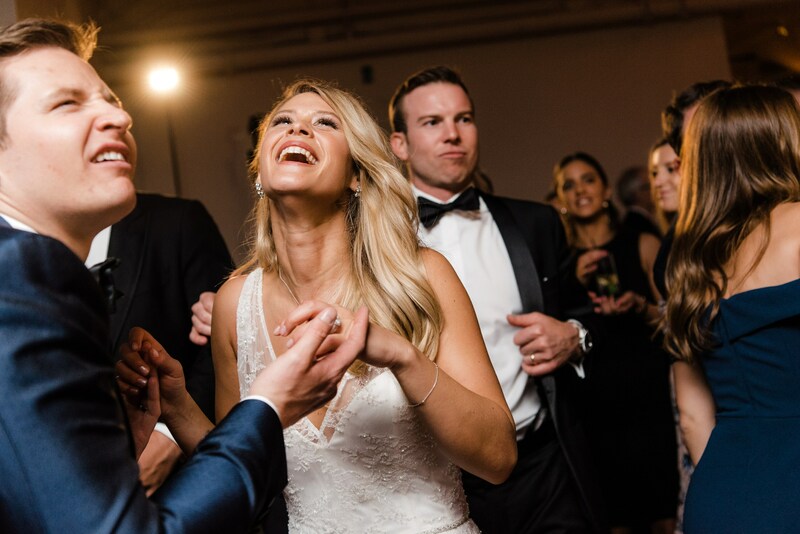 The reception was filled with laughs, happy crying, dancing, and memories they will cherish forever. 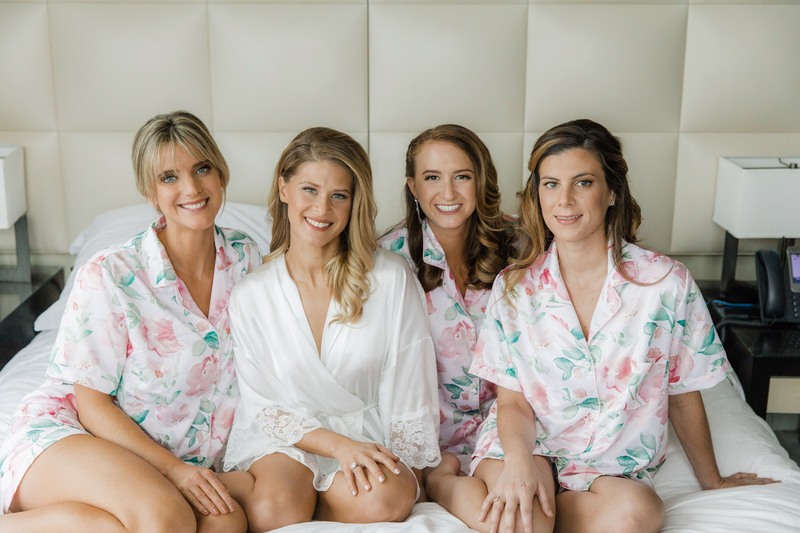 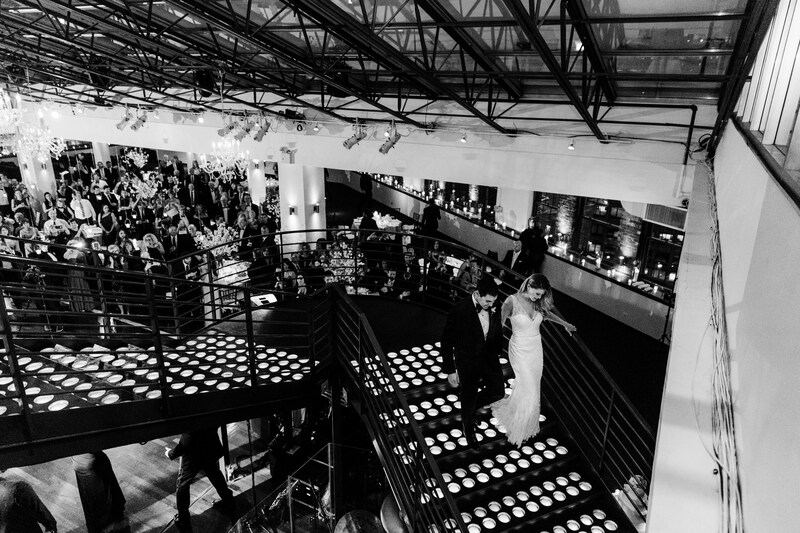 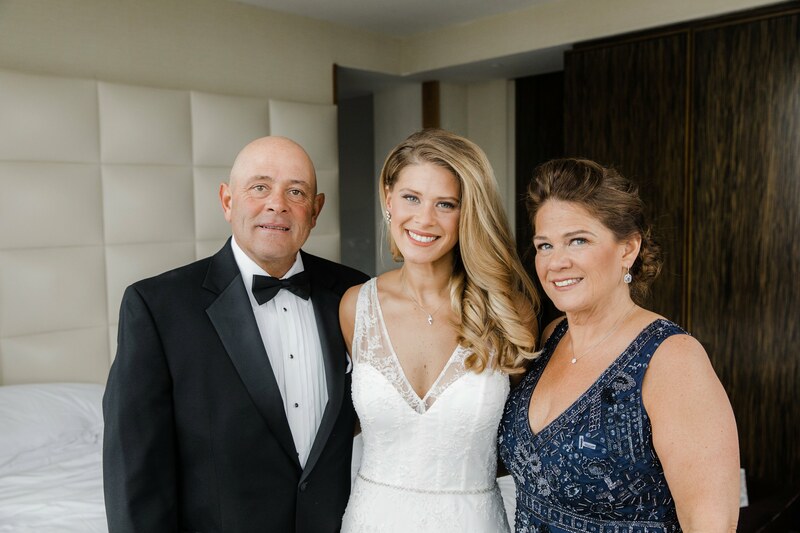 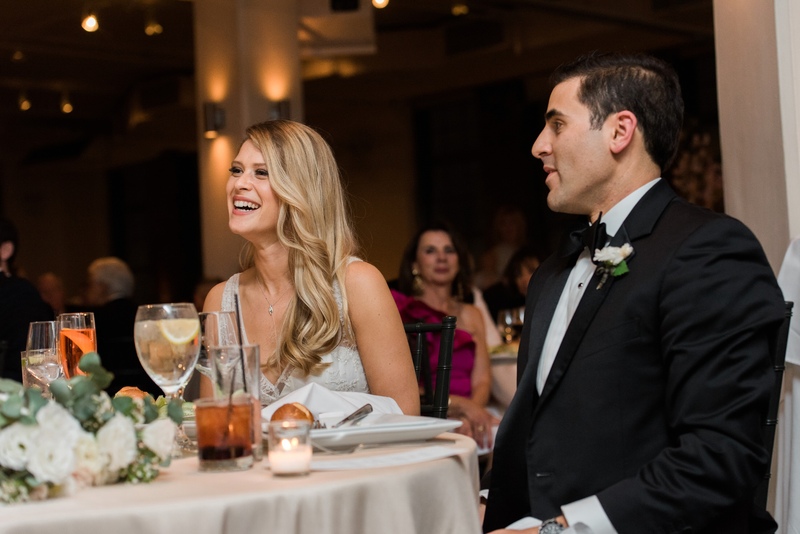 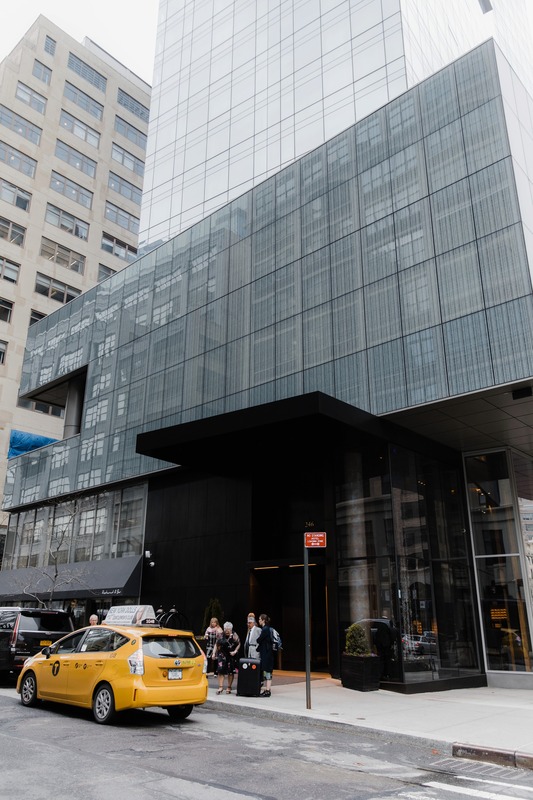 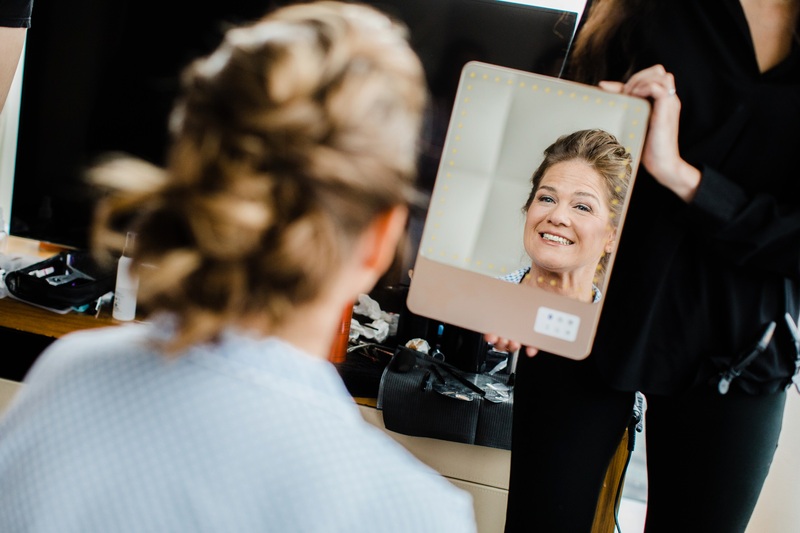 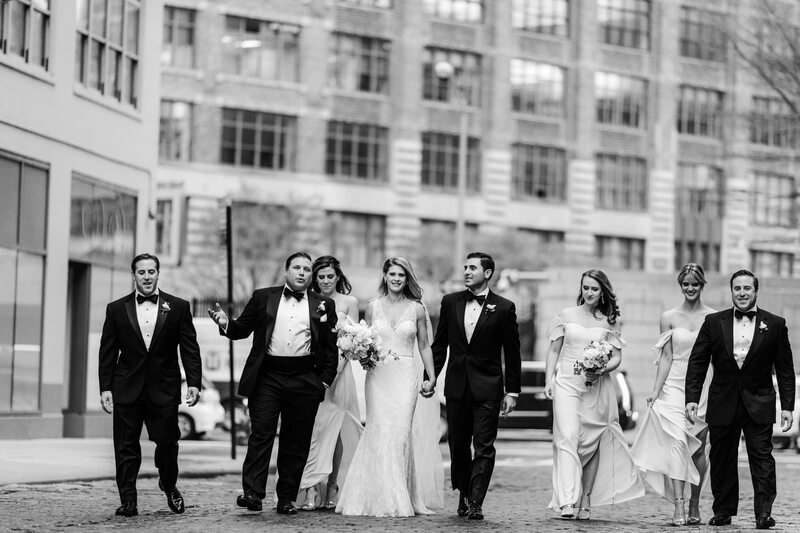 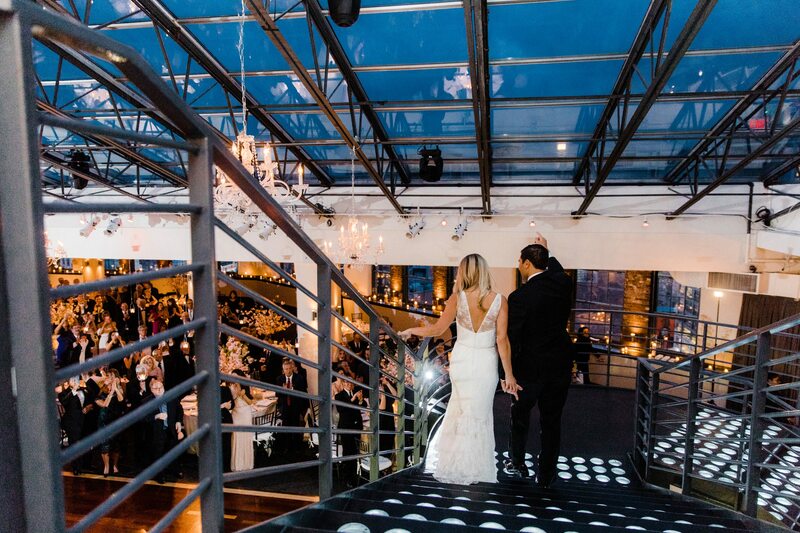 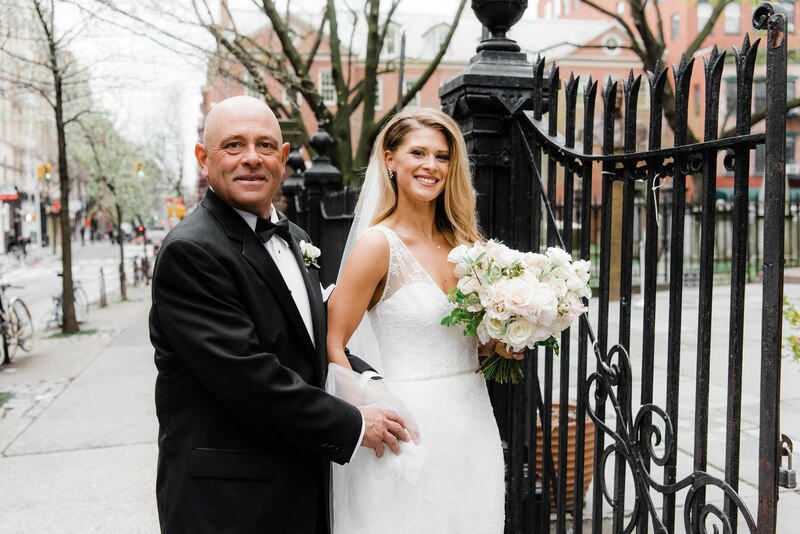 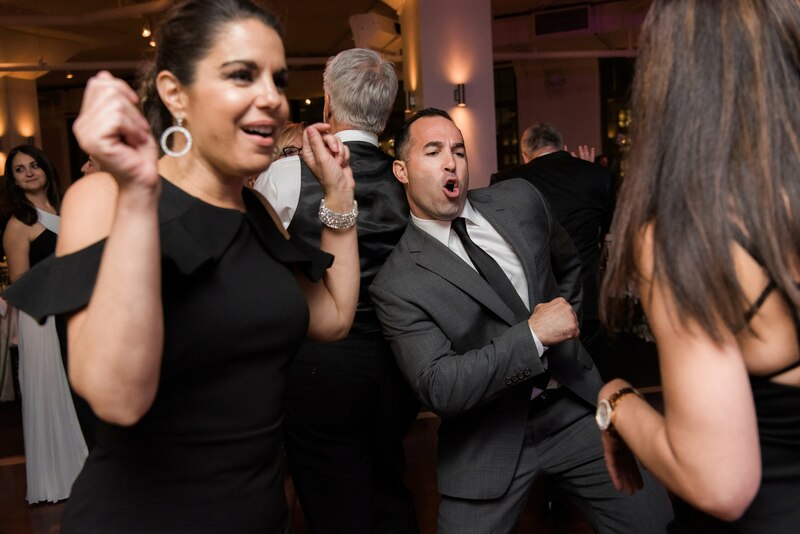 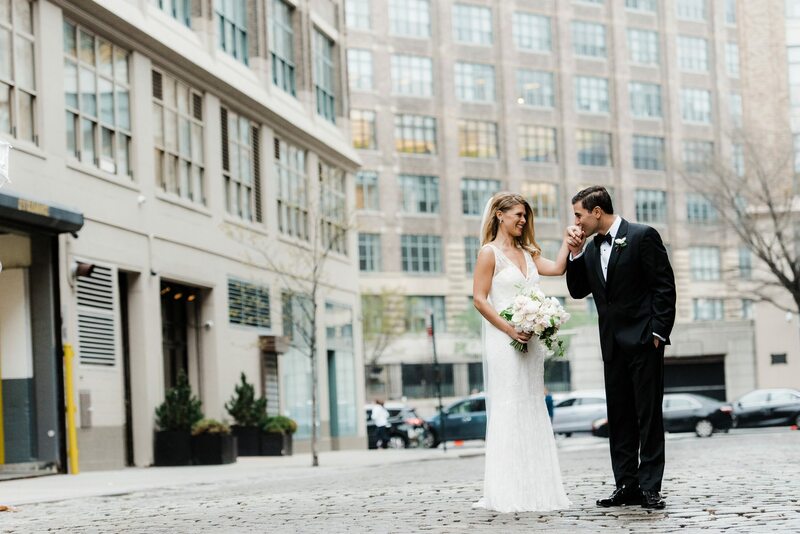 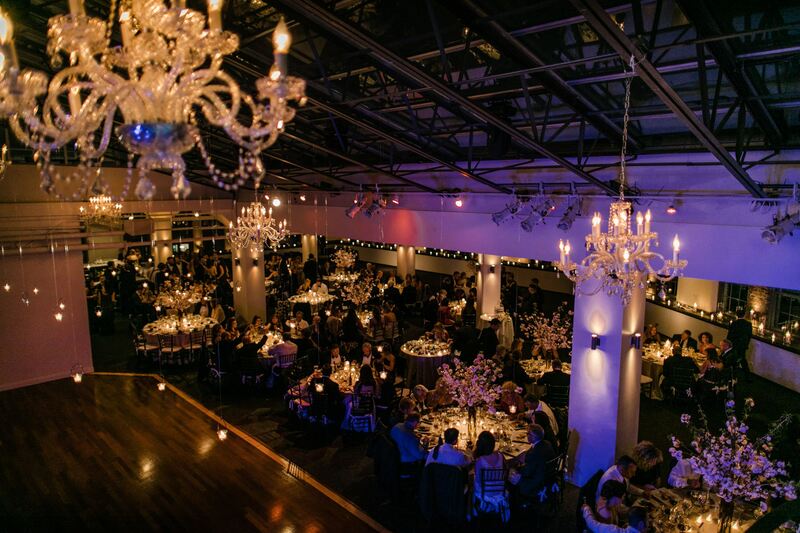 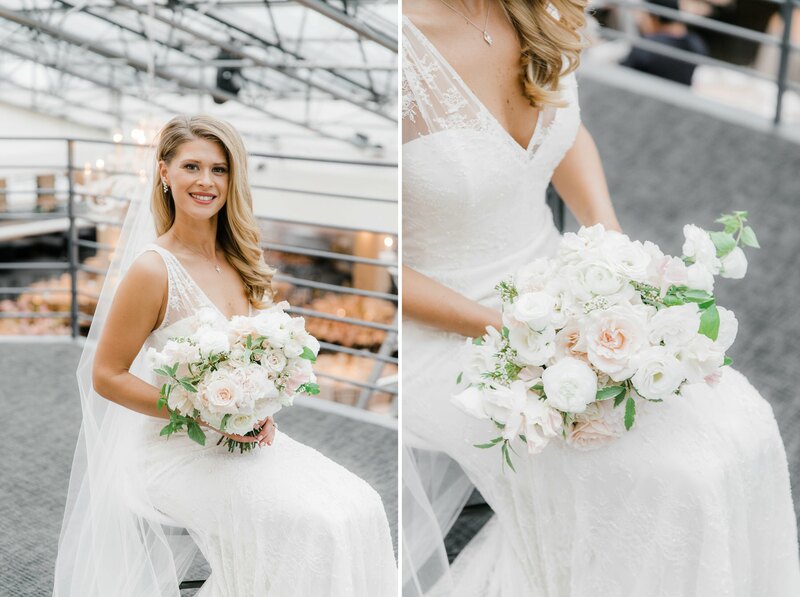 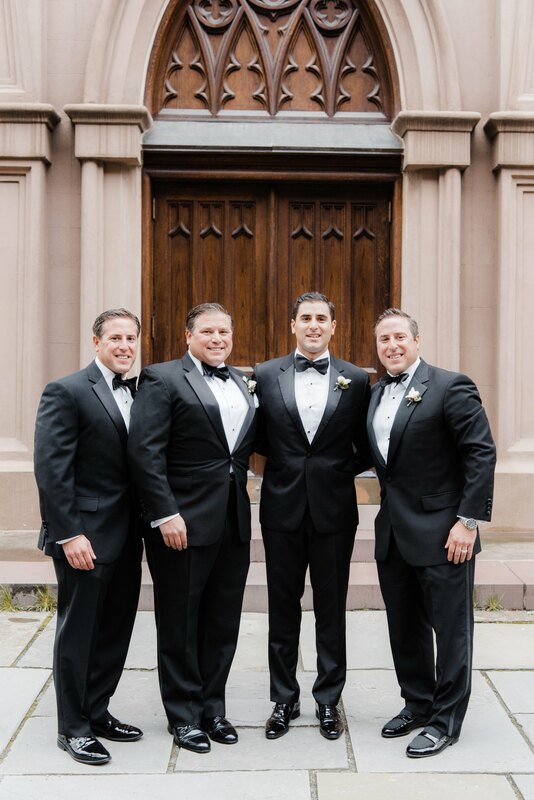 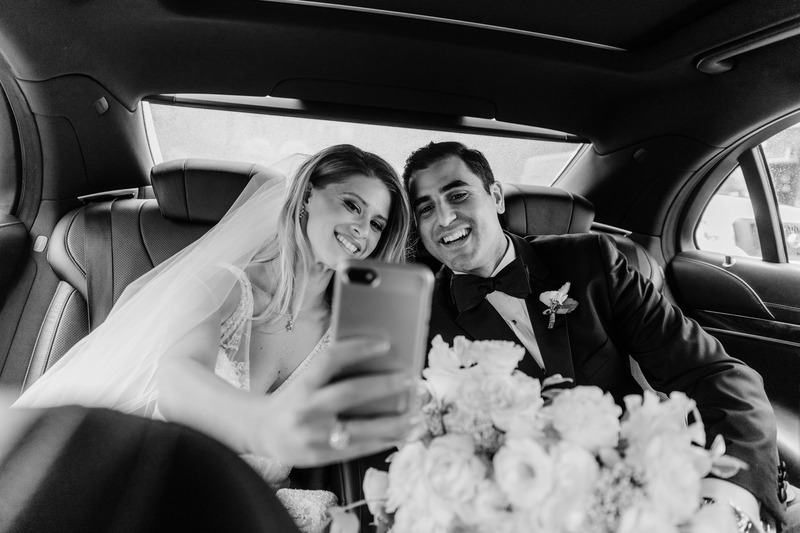 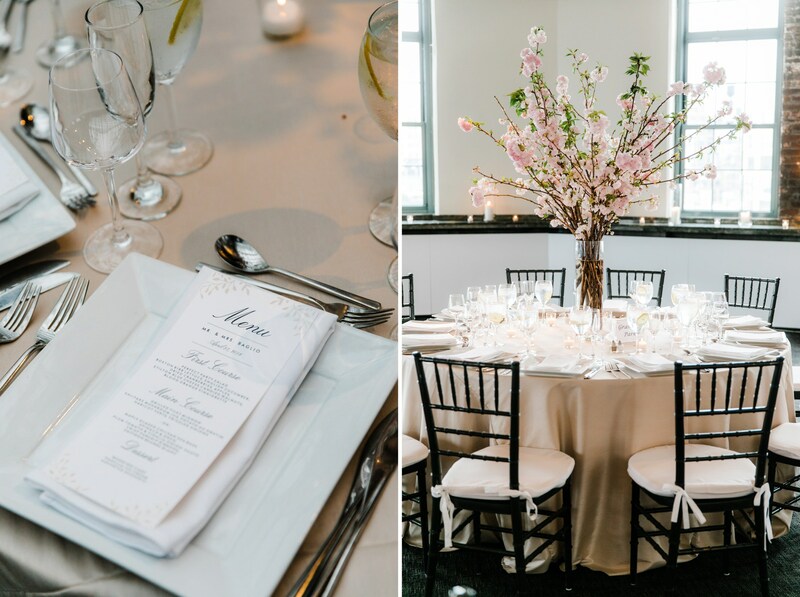 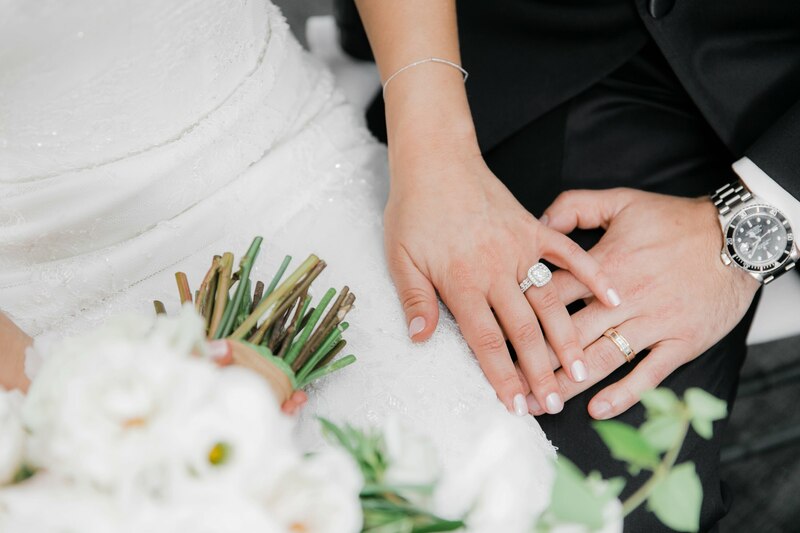 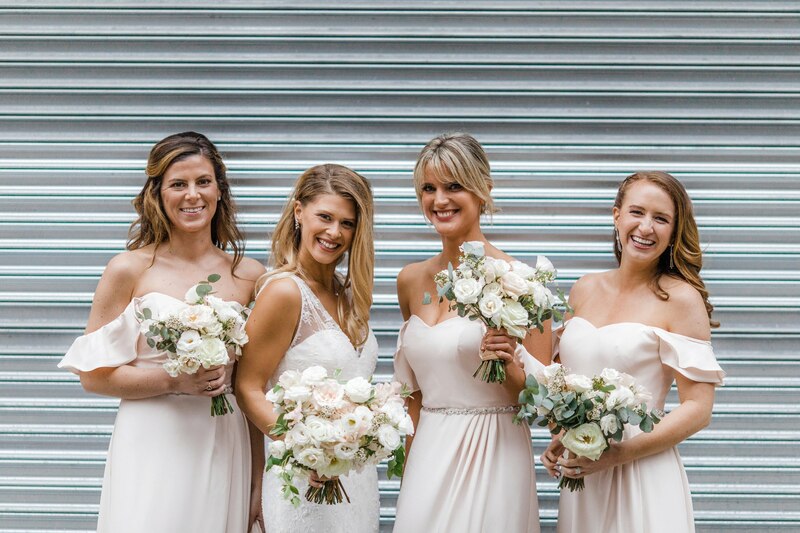 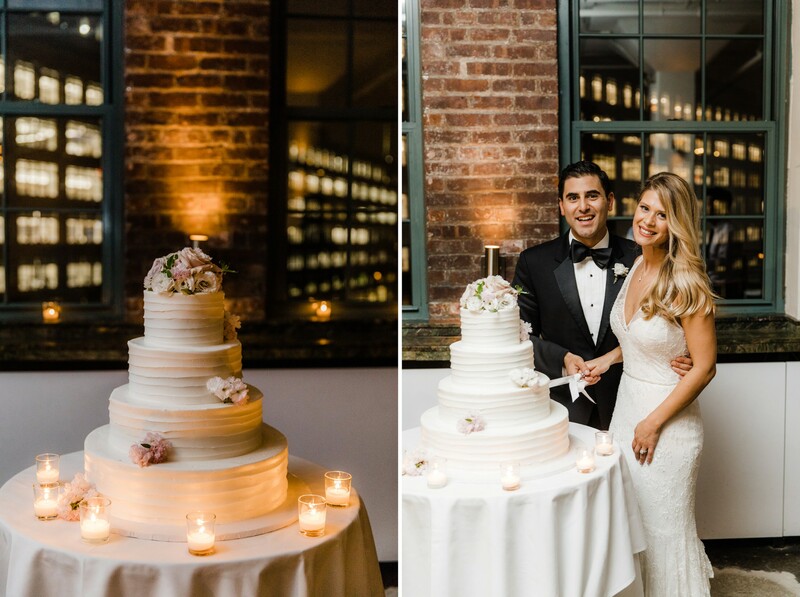 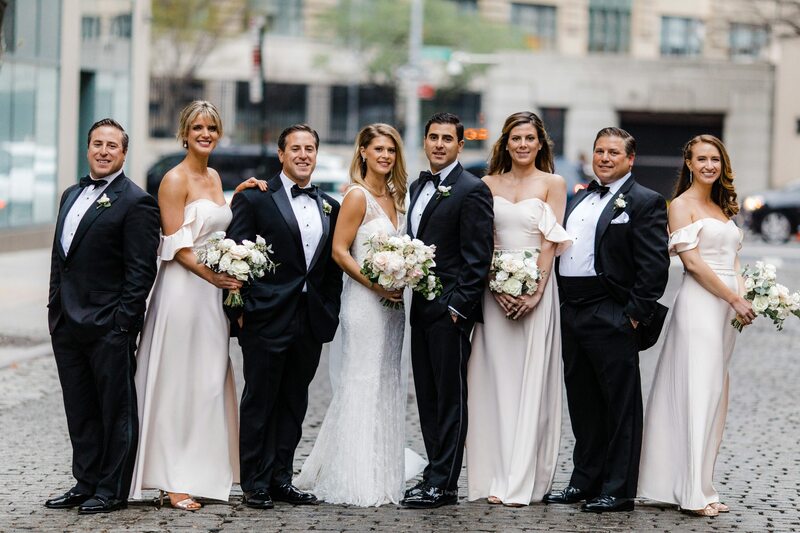 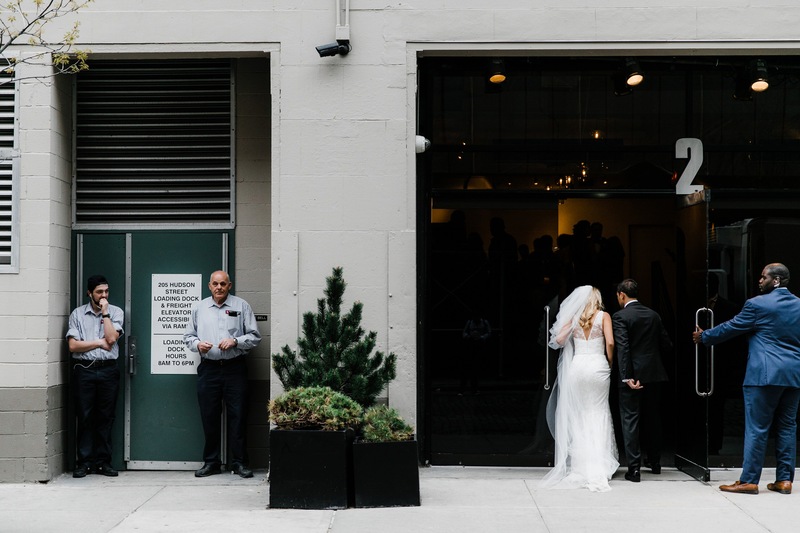 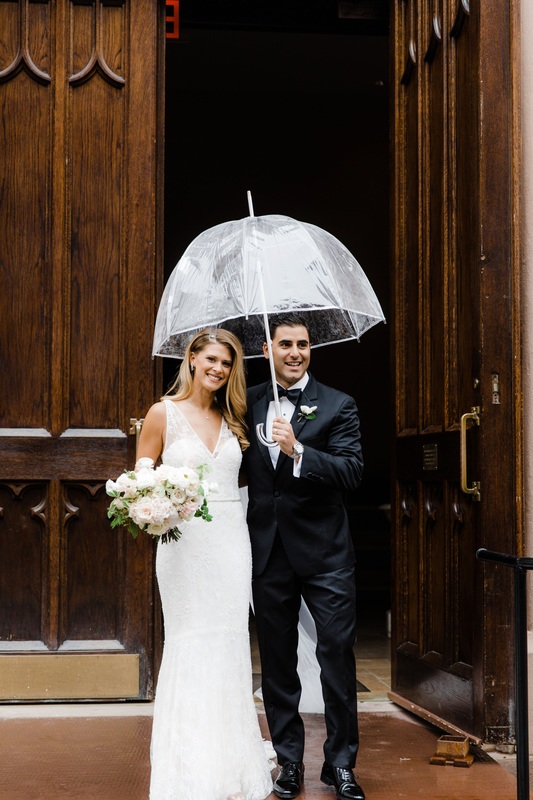 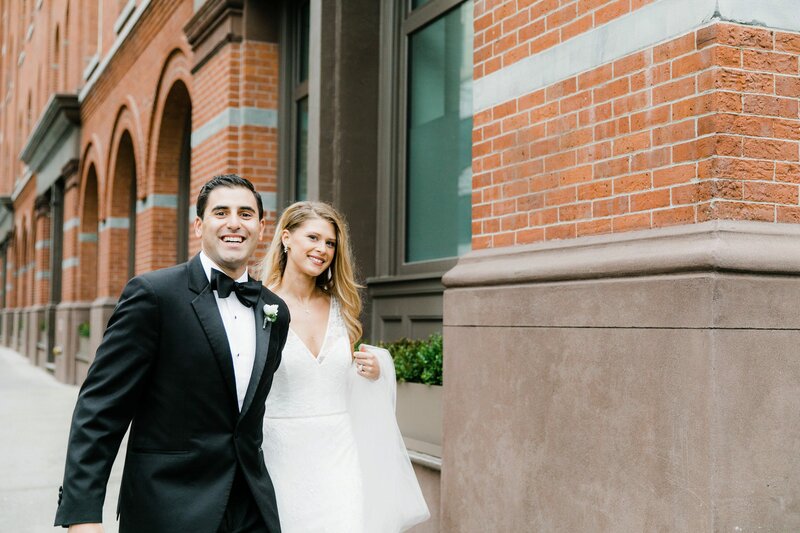 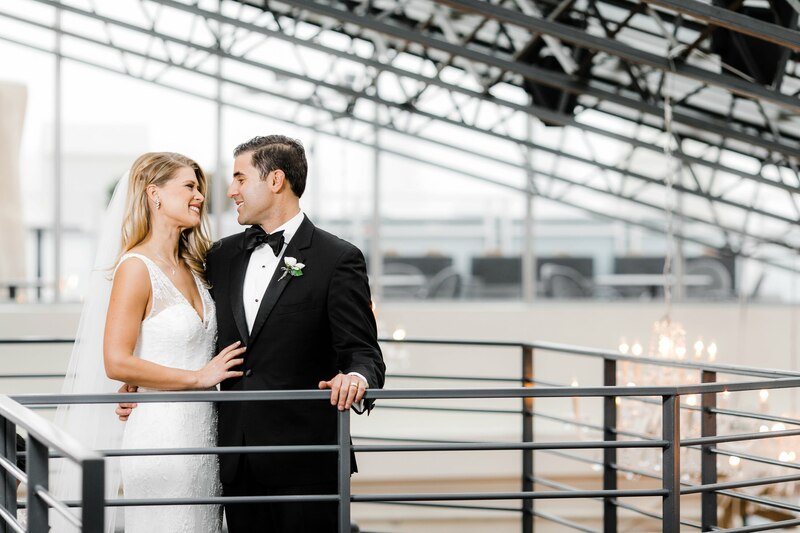 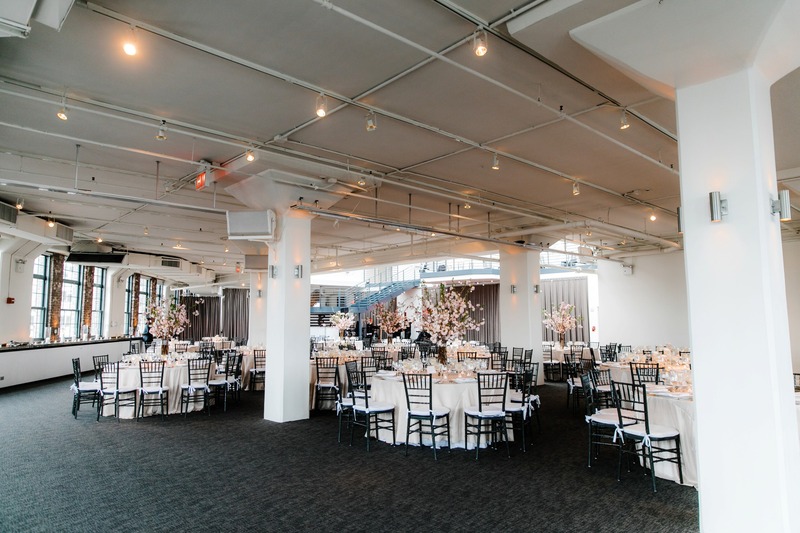  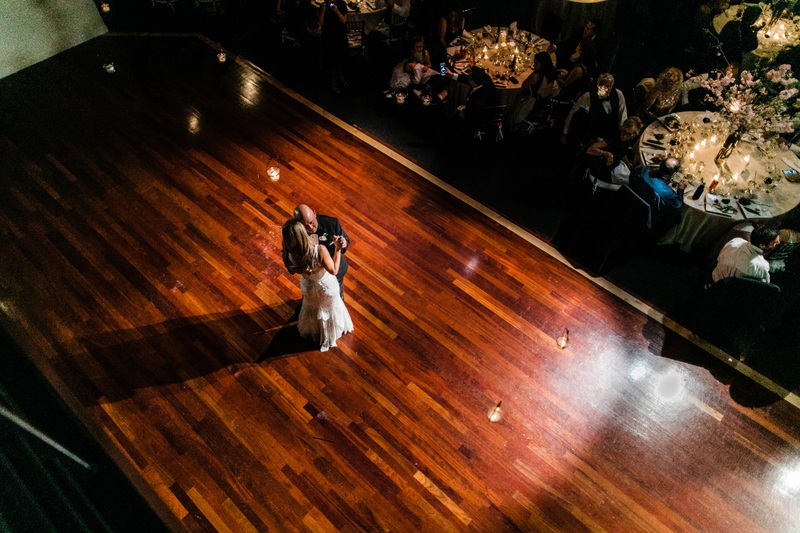 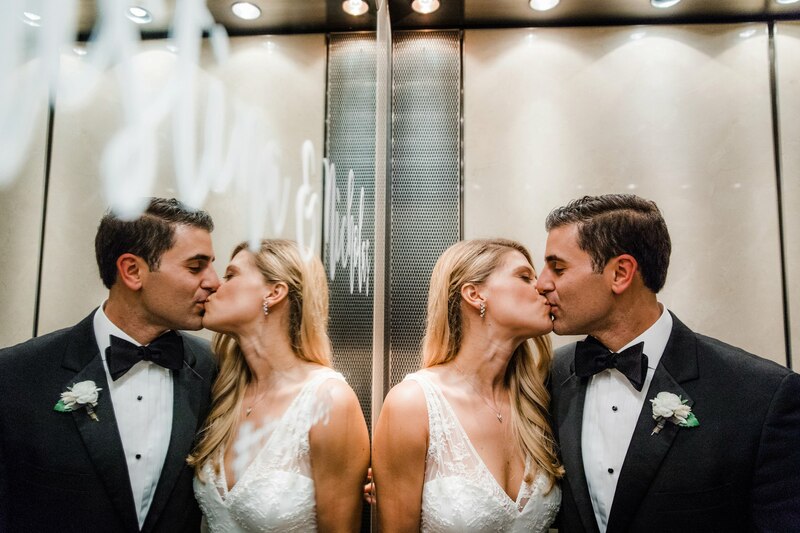 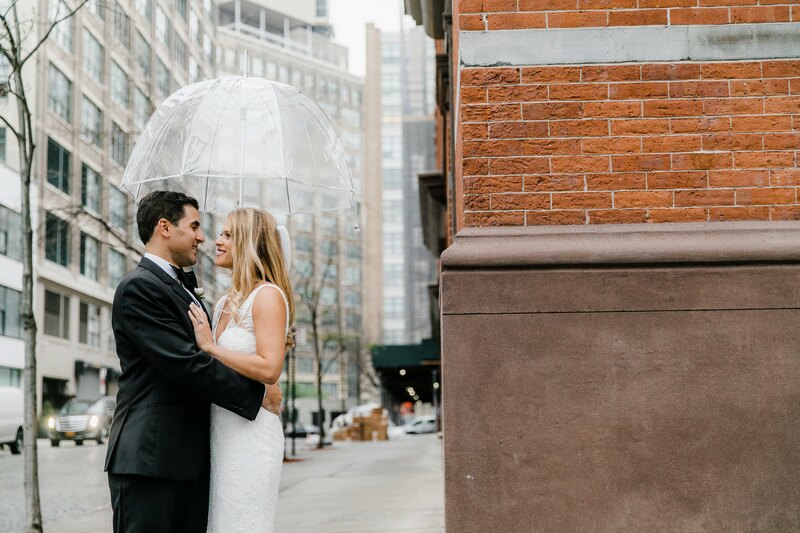 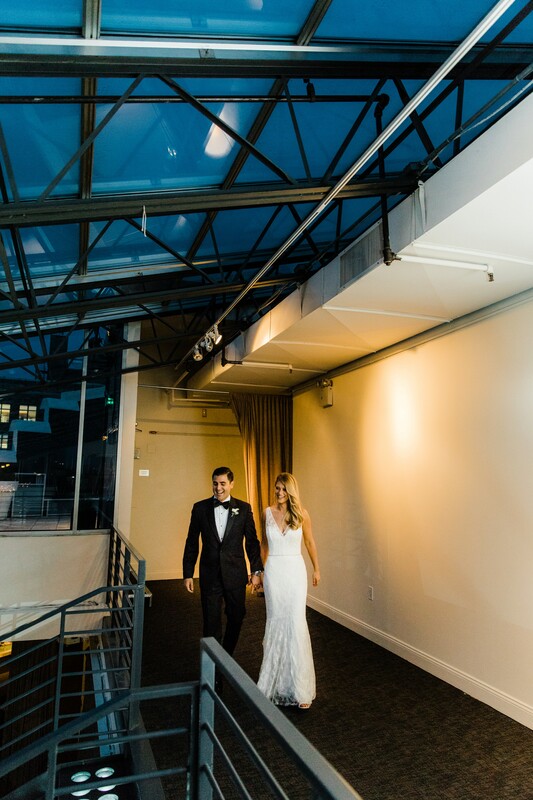 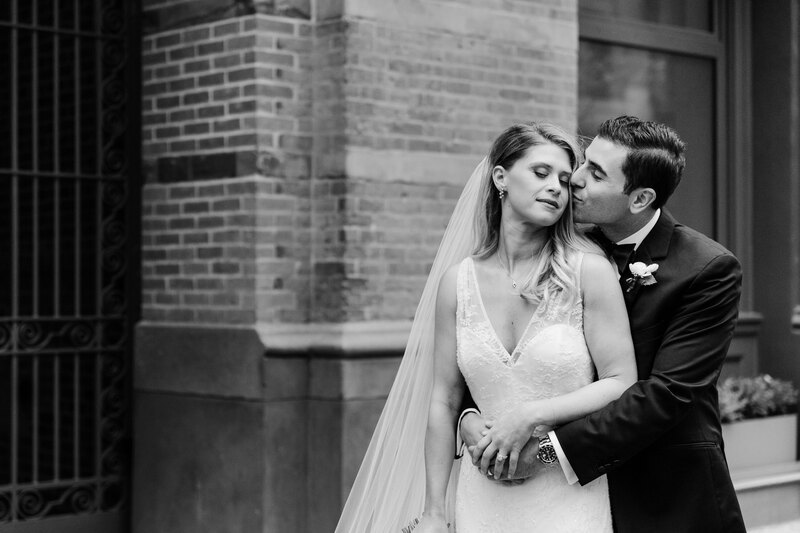 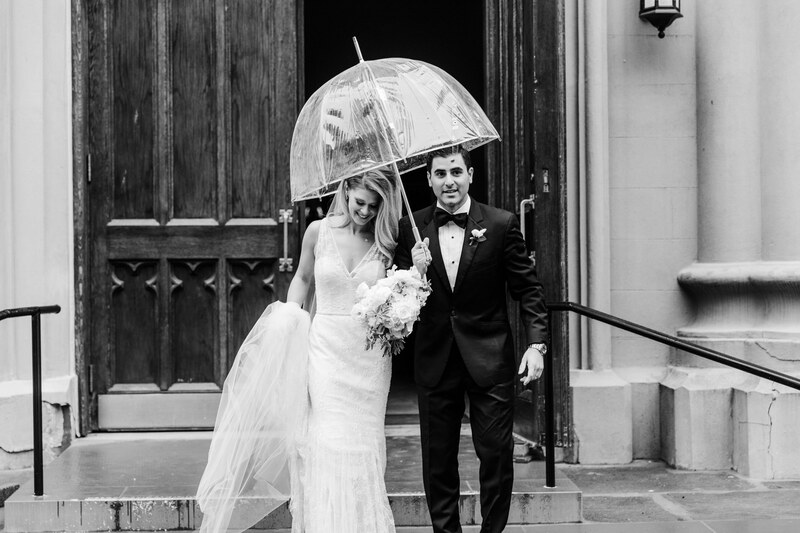 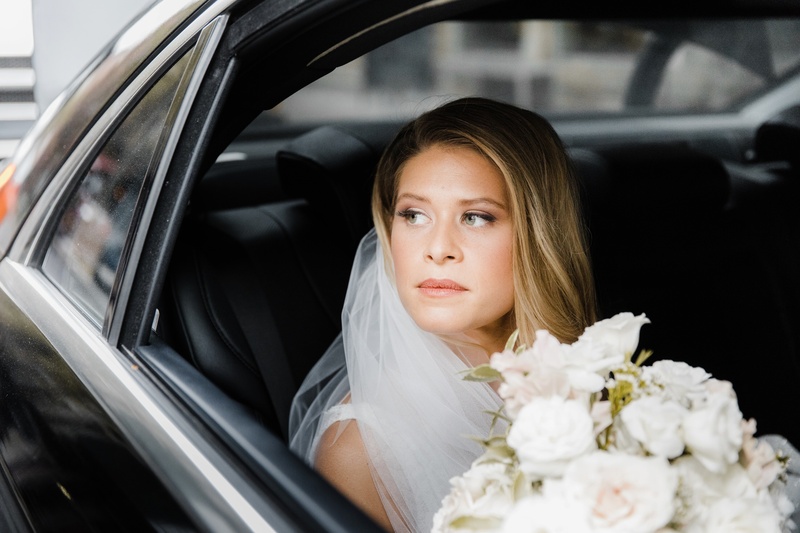 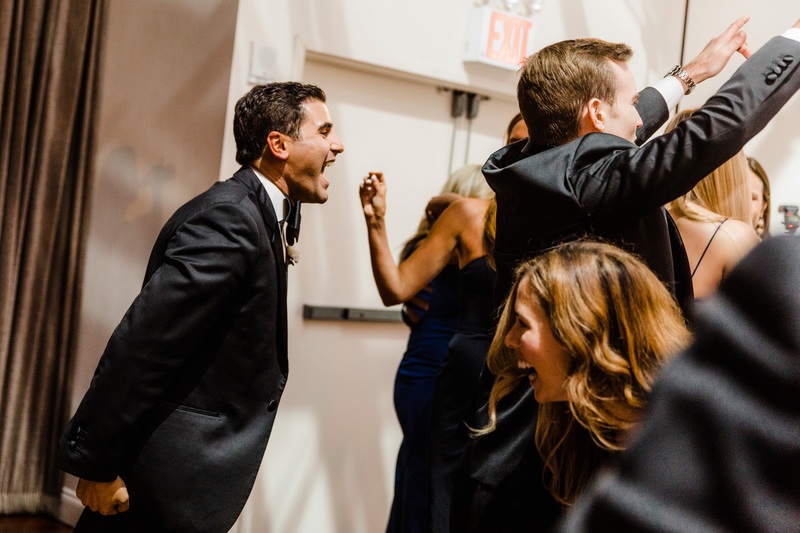 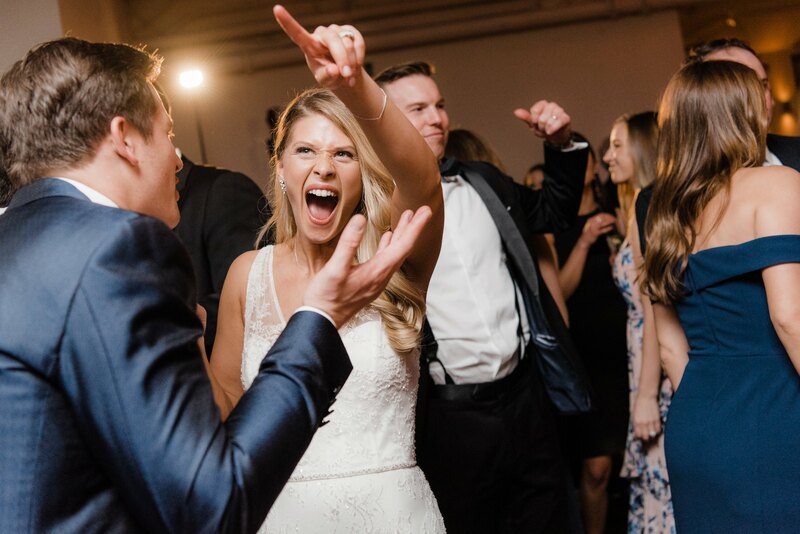 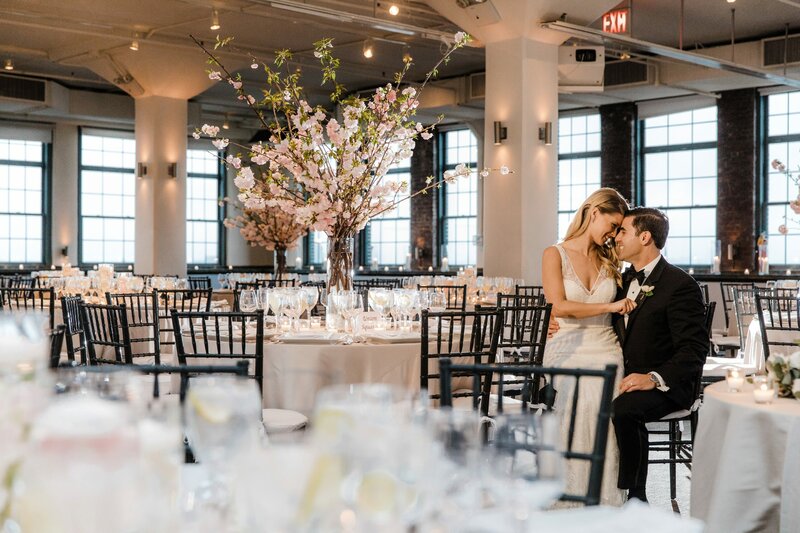 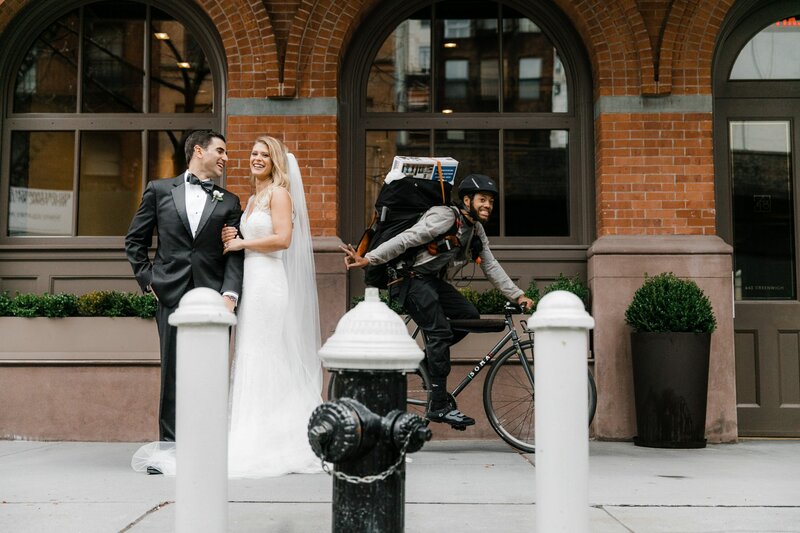 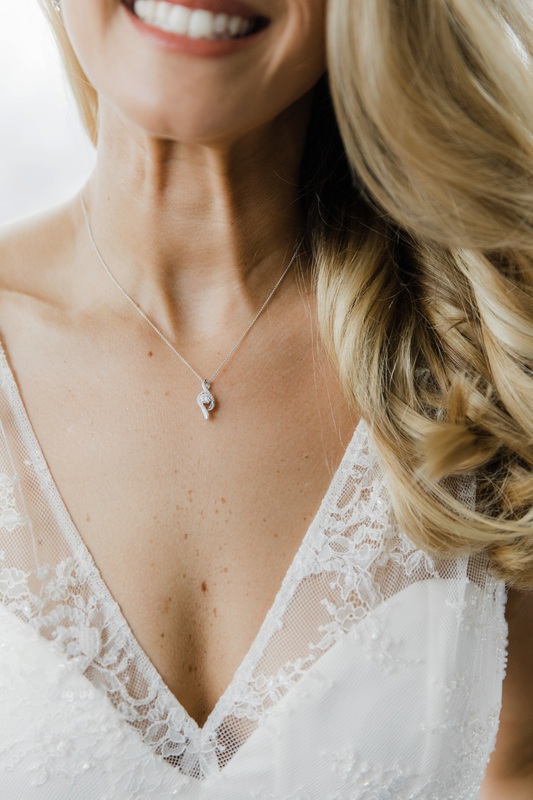 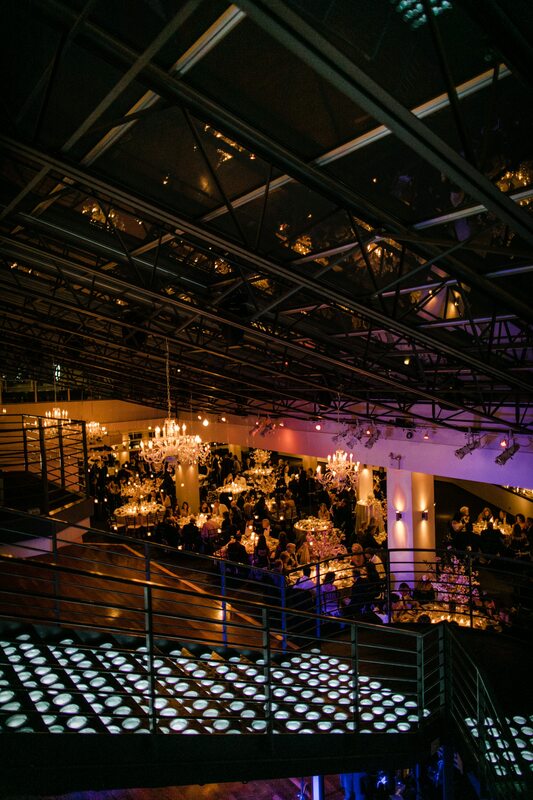 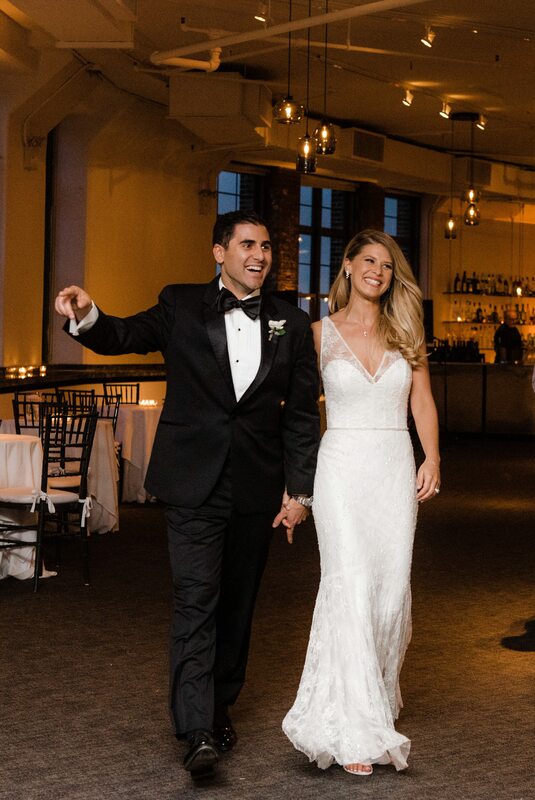 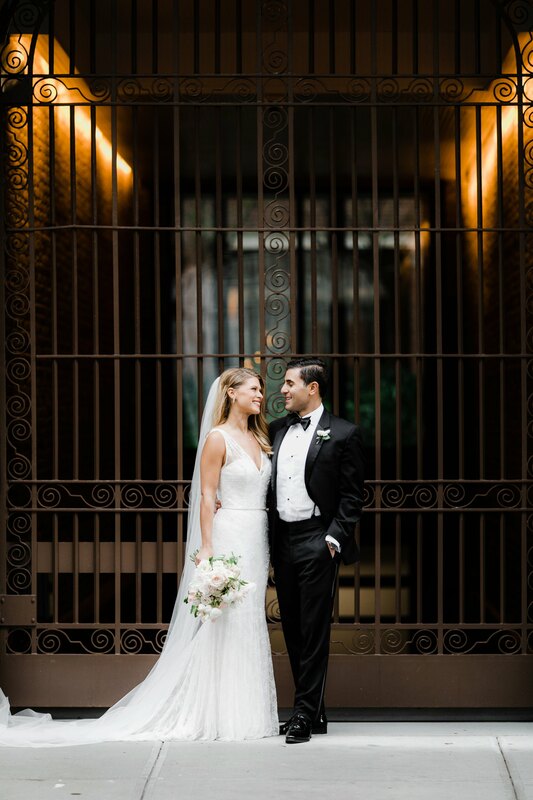 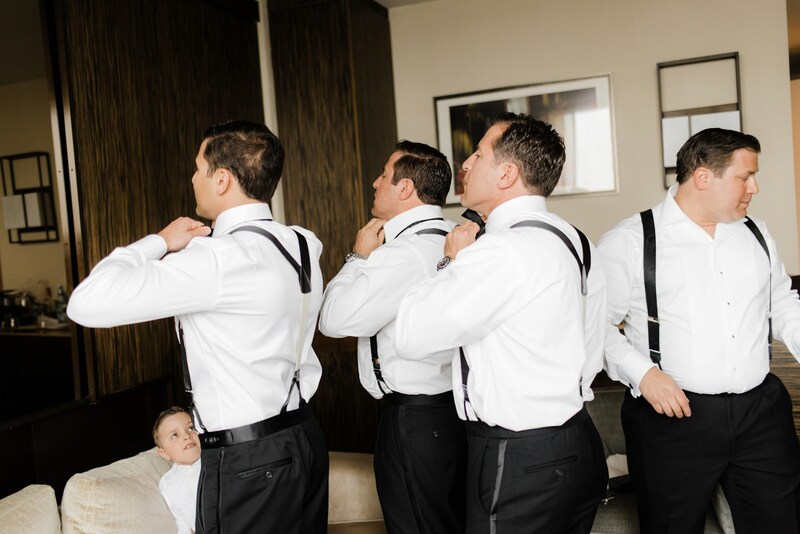 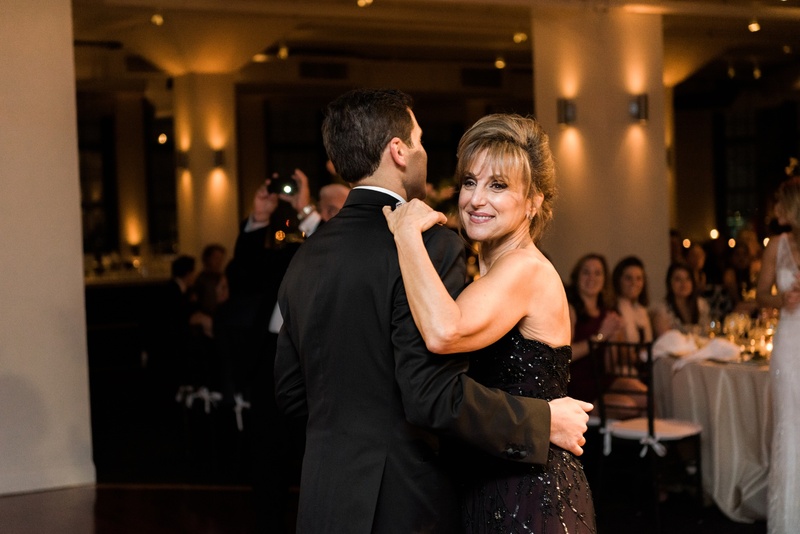 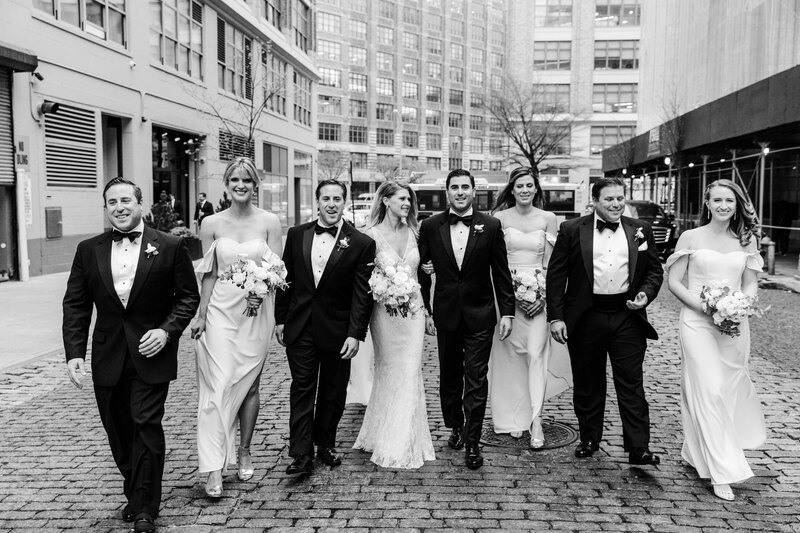 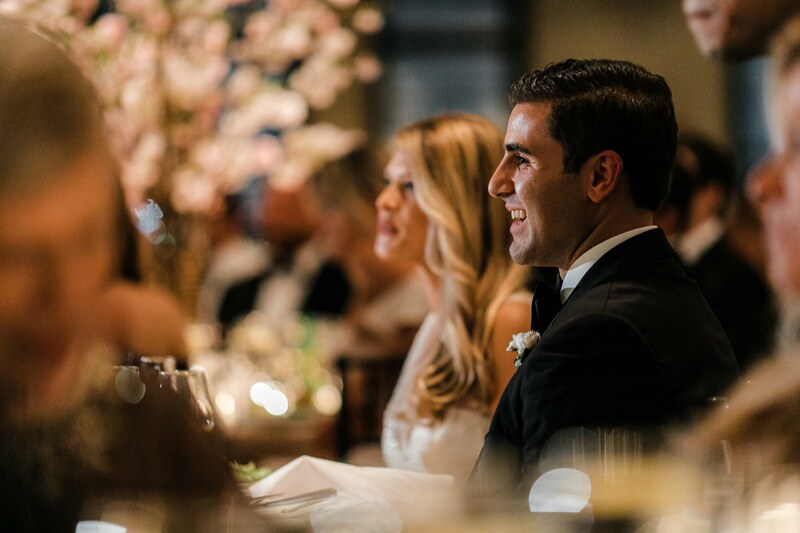 Christina and Nick, thank you so much for choosing Michael Justin Studios to be your Tribeca Rooftop Wedding Photographer – we wish you many years of happiness!